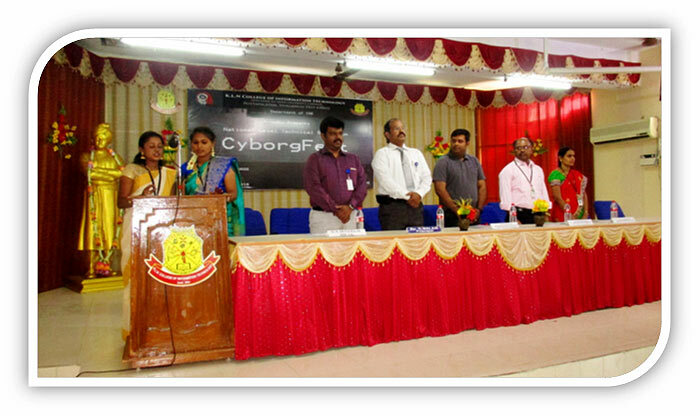 The Department of Computer Science and Engineering was established in 2001, which is an approved Research Centre of Anna University & permanently affiliated for UG Programme from Anna University. 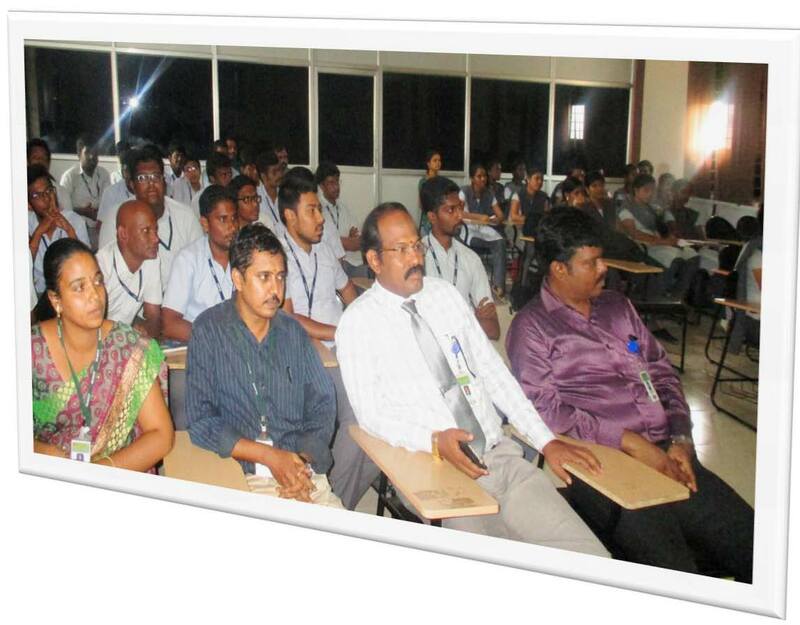 The Department offers Under Graduate (B.E), Post Graduate course (M.E) in CSE and Doctoral degree programmes. 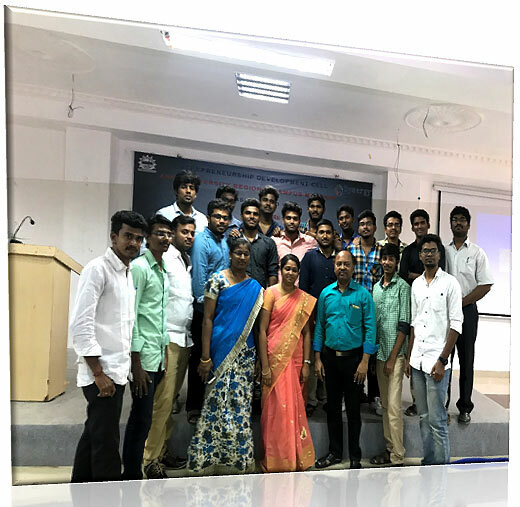 The Department is producing competent graduates with consistent academic results and excellent placement in National and Multi-national companies like Infosys, TCS, CTS, Accenture, IBM, Aricent, Virtusa, Verizon, Hexaware etc. 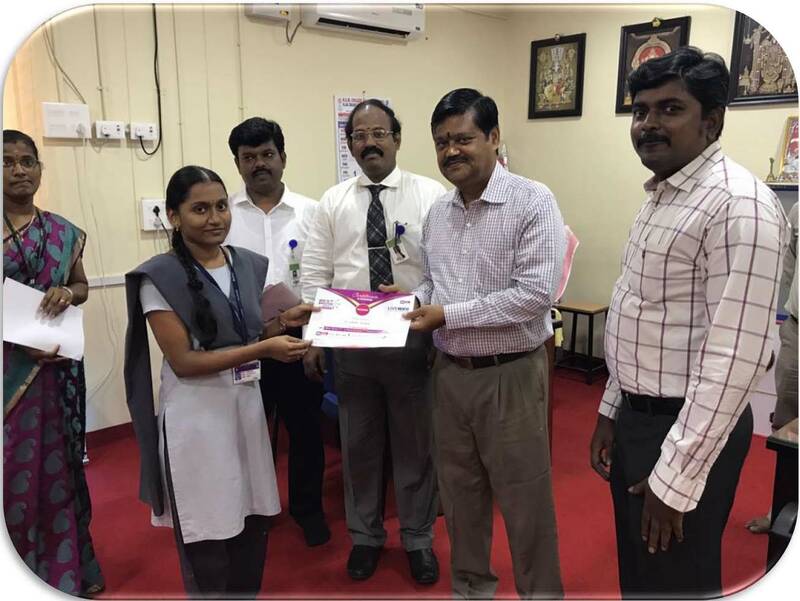 The Department has produced 36 University Rank holders including a University First Rank holder. 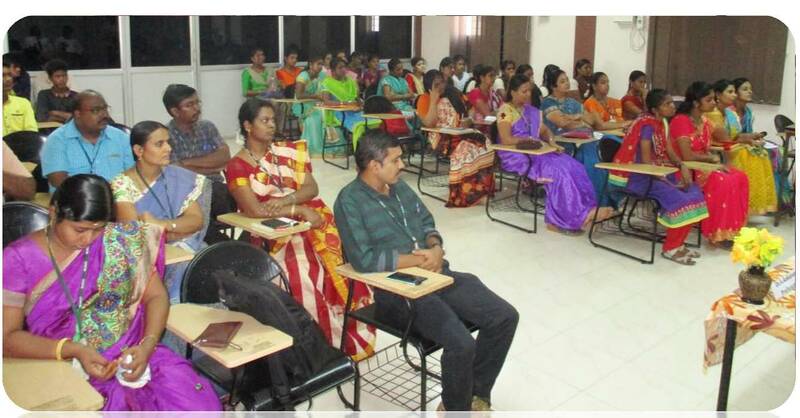 The Department has received Grant total of Rs.40,00,000/- from Central Government funding agencies like DST, AICTE, ICMR, DRDO for Research & Development and Skill enrichment programmes including Establishment of Entrepreneurship Development Cell funded by AICTE for Rs.13,20,000/-. 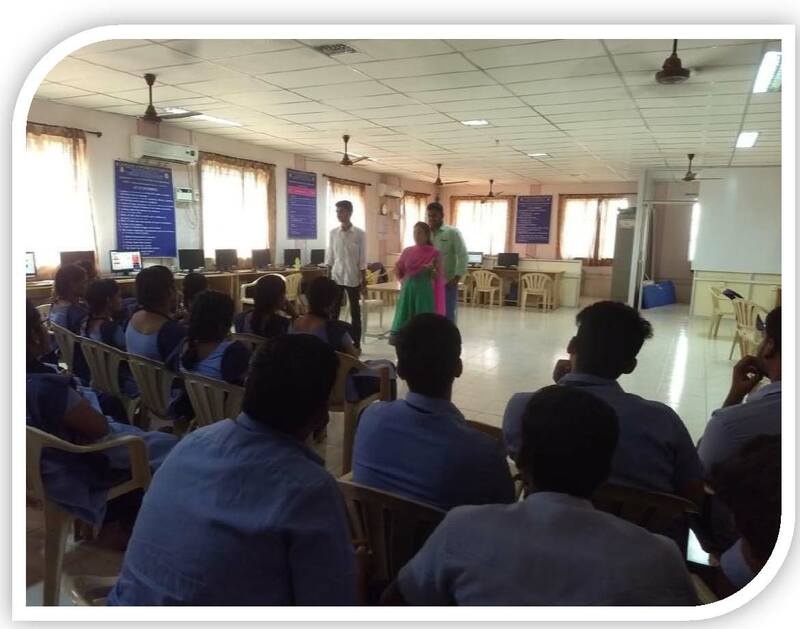 The Department offers an excellent learning environment with a team of highly qualified and experienced faculty. 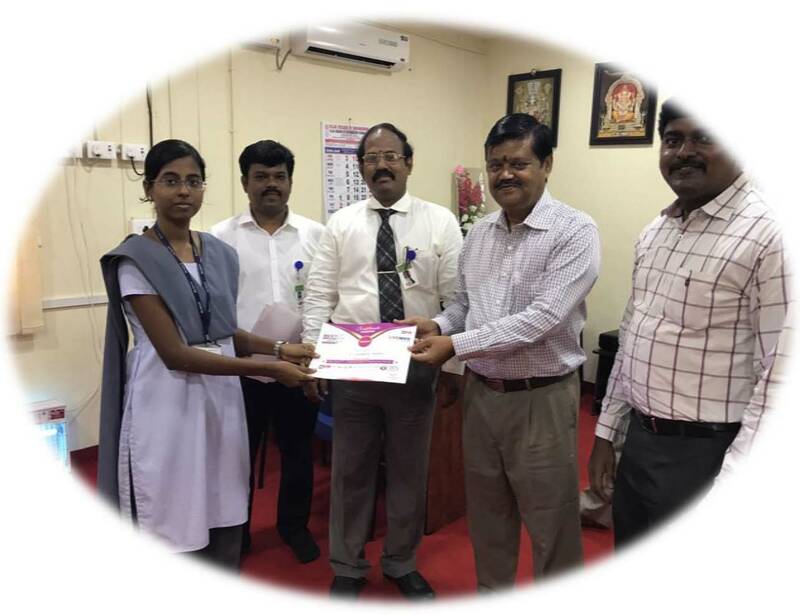 Staff & Students of our department have received awards and recognition from Industries/Professional Societies towards research and innovation in teaching and learning process. 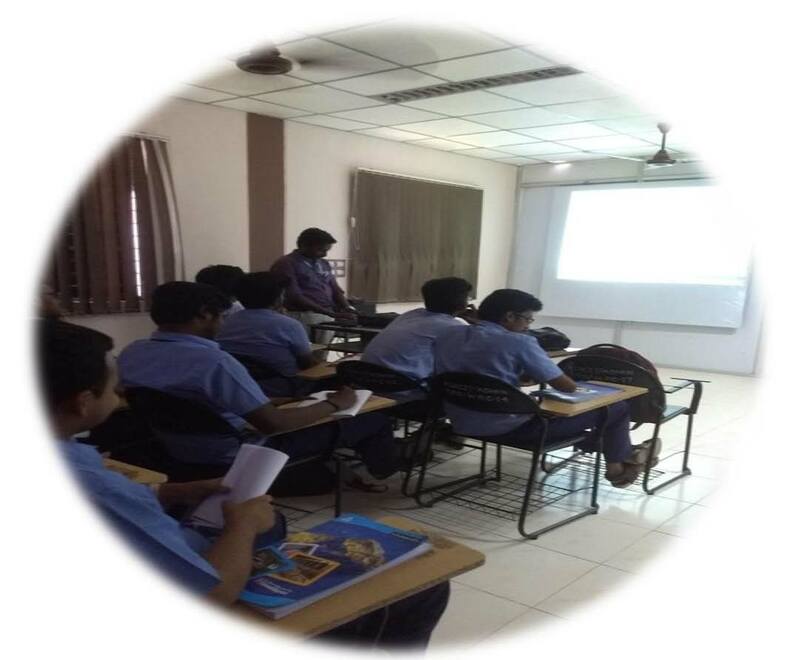 Value-added courses and Industry-ready training programs are conducted regularly add-on to the co-curricular activities. 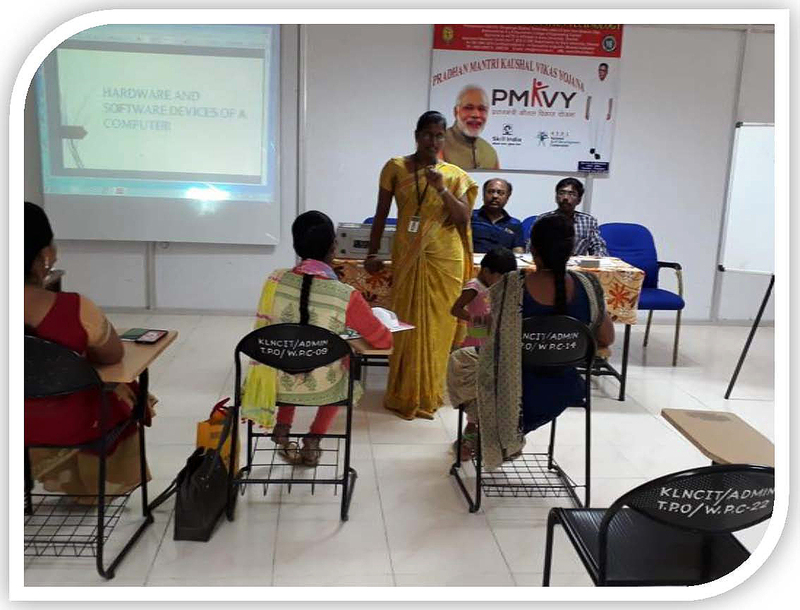 The Department has spacious class rooms with LCD Projectors, Department library and sophisticated air-conditioned laboratories with higher configuration systems to meet the demands of the IT industry, Research and Development. 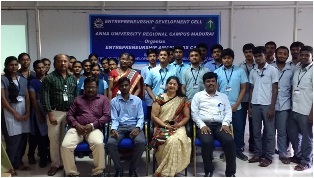 Rs.13.2 Lakhs for the establishment of Entrepreneurship Development Cell (EDC) Scheme by AICTE (Aacademic year :2010-11). 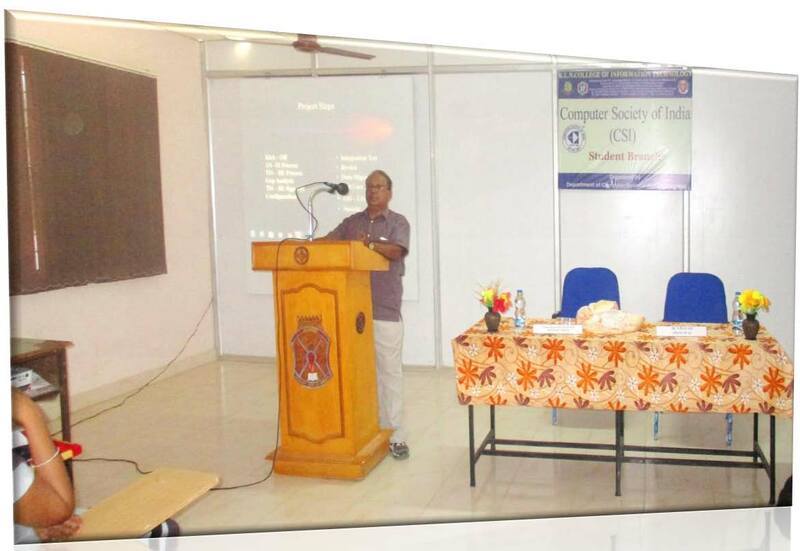 Rs.30,000/- for organizing National Seminar on "Security & Privacy in Cloud Computing" by DRDO (Academic year :2012-2013). Rs. 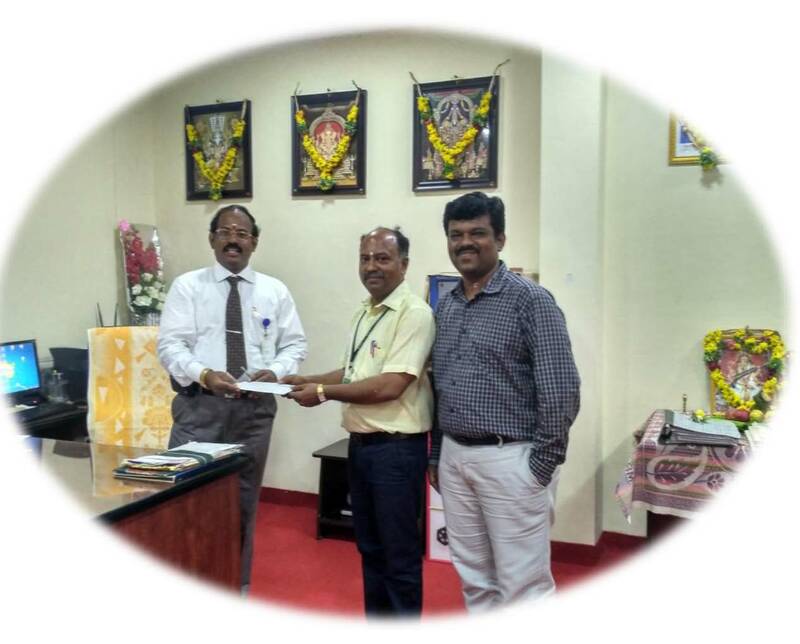 17.75 lakhs for the Project titled "Automatic surveillance system to detect abnormal behaviors and abandoned objects in public places" (Academic year :2016-2017). 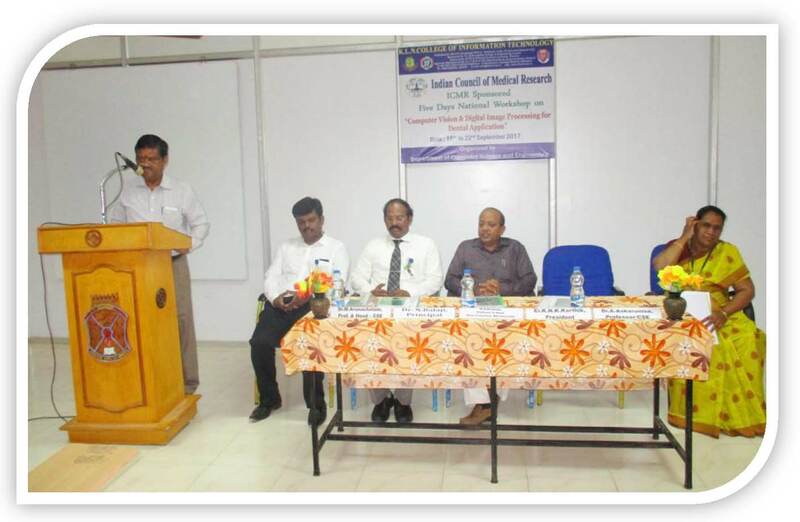 Rs.40,000/- for organizing National Seminar on "Computer Vision and Digital Image Processing for Dental Applications" by ICMR (Academic year : 2017-2018). 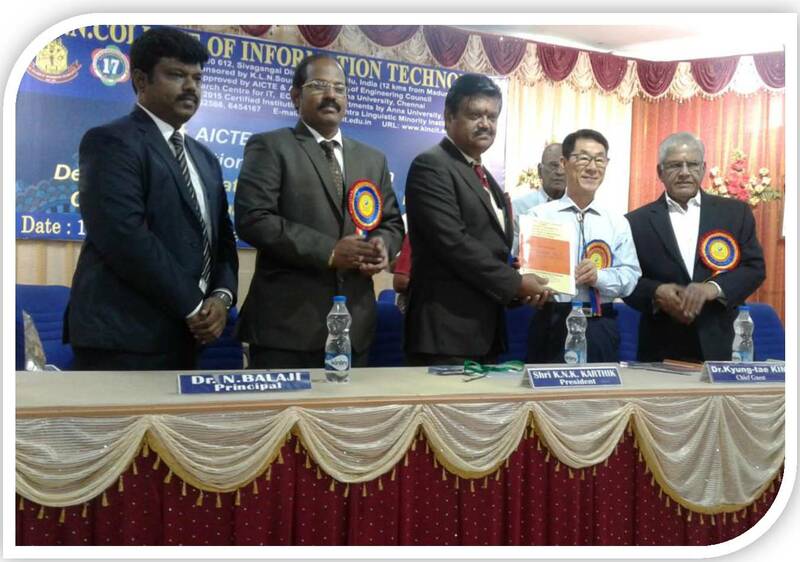 Rs.1.5 Lakhs for organizing International Conference on Design and Applications of Structures, Drives, Communicational and Computing systems by AICTE (Academic year: 2017-2018). 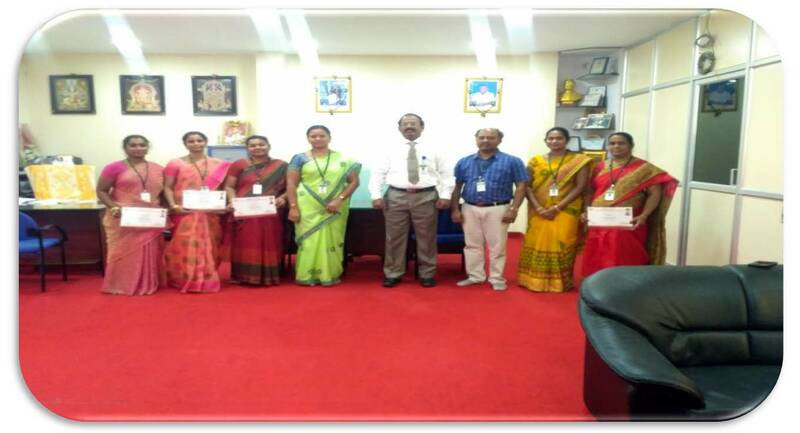 Rs.3,00,000 for AICTE & ISTE sponsored Six day Induction or Researcher programme on "Pedagogical innovations and best practices for skill based academic leadership"
Rs.2,00,000 grant from AICTE-PMKVY for the project titled "Field Technical Computing and Peripherals". 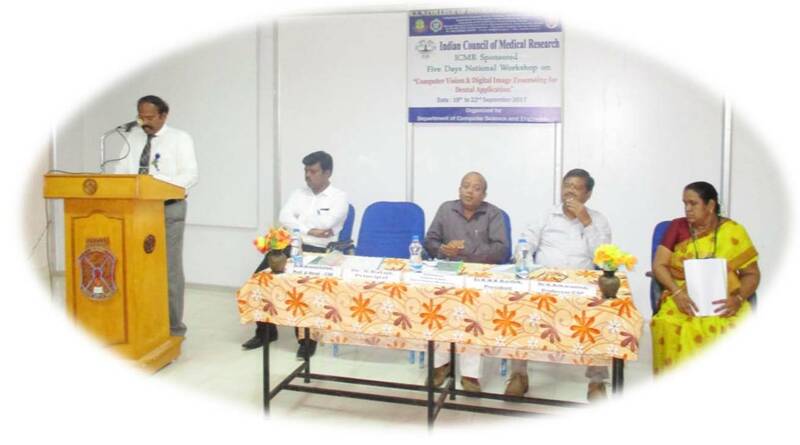 Rs.40,000 grant for ICMR sponsored National workshop on "Deep Learning Applications for Medical Imaging". 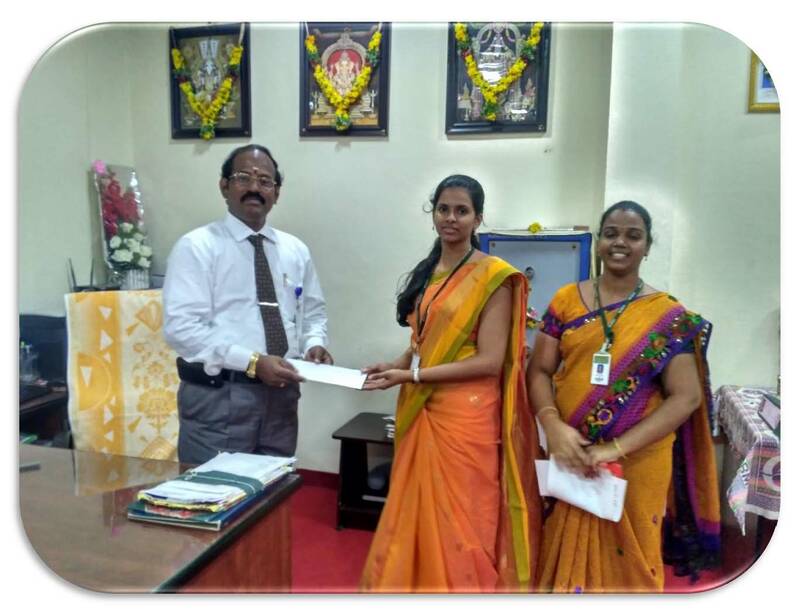 The Department has signed MoU with leading organization like Microsoft, ICT Academy, Infosys Campus Connect etc. 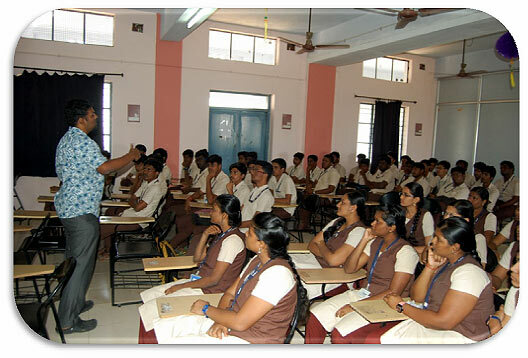 To attain the Centre of Academic Excellence through Quality Teaching-Learning process and Research. 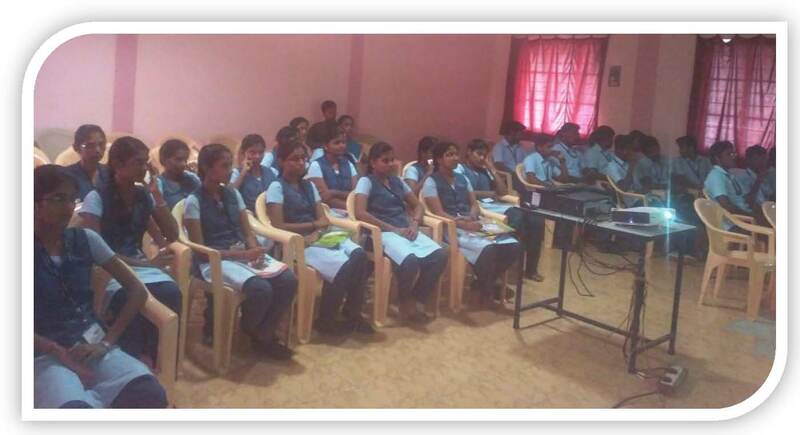 To provide quality education with better career opportunities. 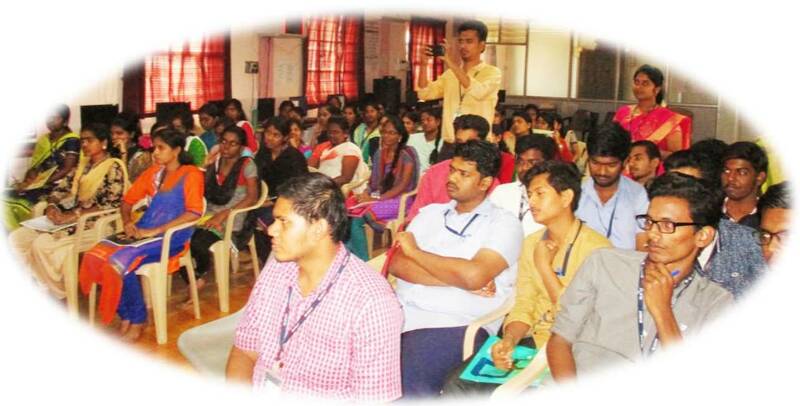 To produce globally competent graduates. 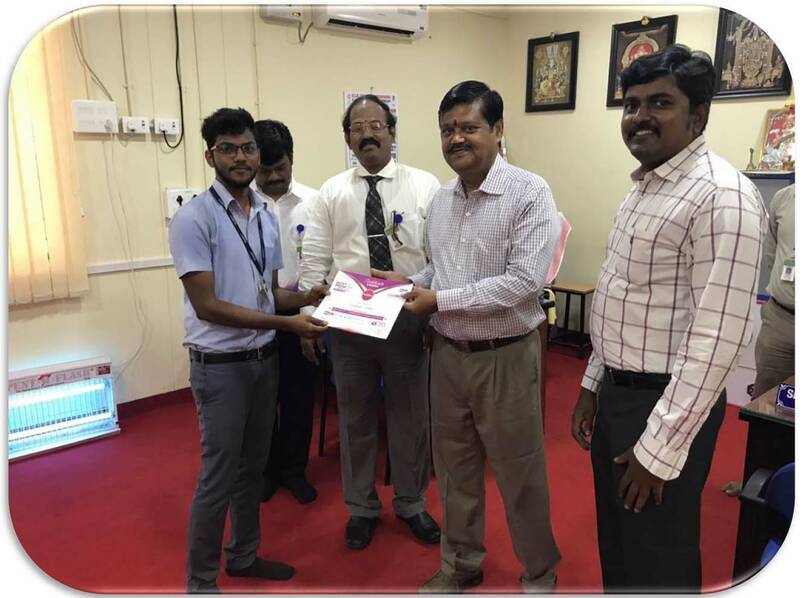 To strengthen the core competence in the field of computer science and engineering. 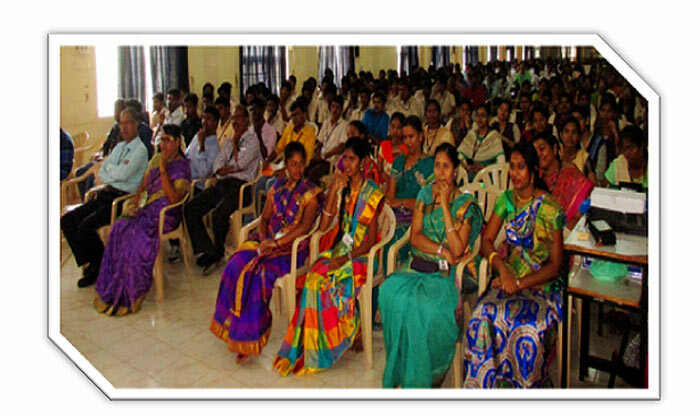 To inculcate the values of ethics and social responsibilities. 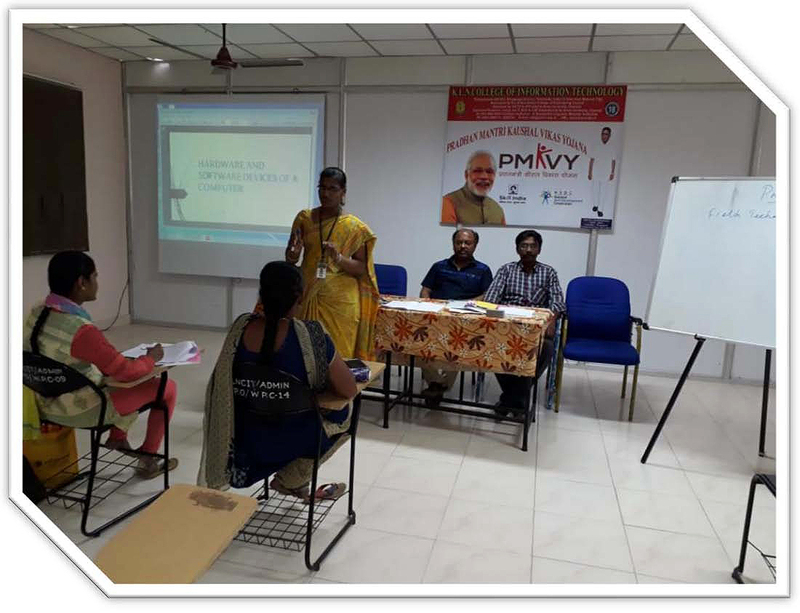 To produce graduates who can demonstrate competence for their successful employment in industries, academic institutions, government organizations or to pursue higher studies. 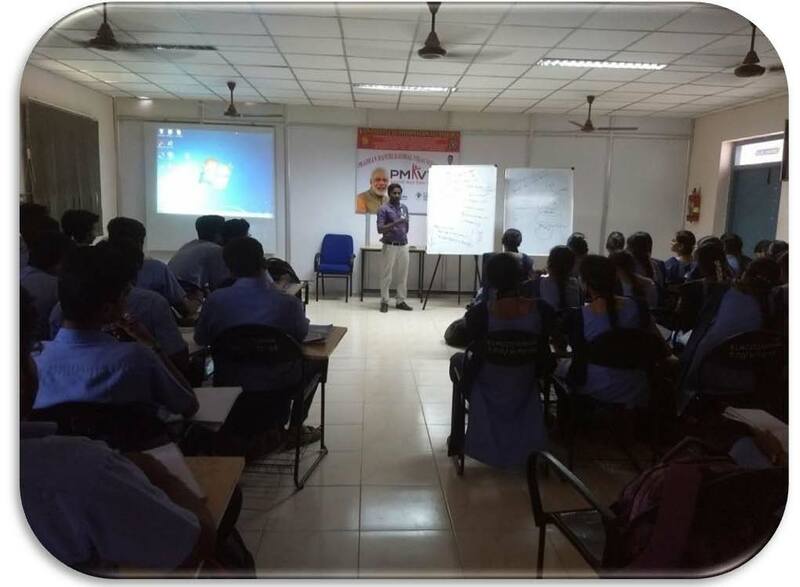 To promote design, research, and implementation of products and services in the field of Computer Science & Engineering through strong communication, leadership, and entrepreneurial skills. 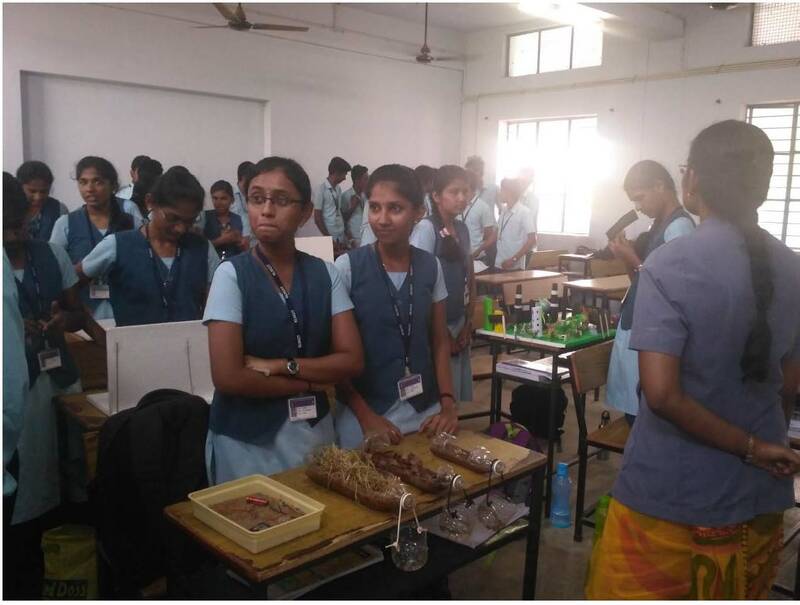 To inculcate students with adequate training and opportunities to work as teams on multidisciplinary projects and with an ability to relate computer science engineering issues with social awareness. 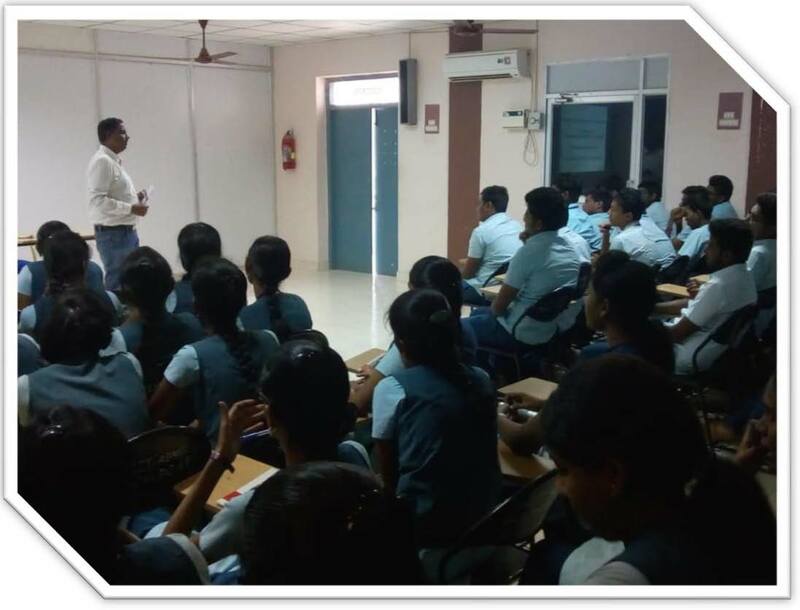 To promote student awareness on continuous learning and to practice professional ethics and morale in their career. 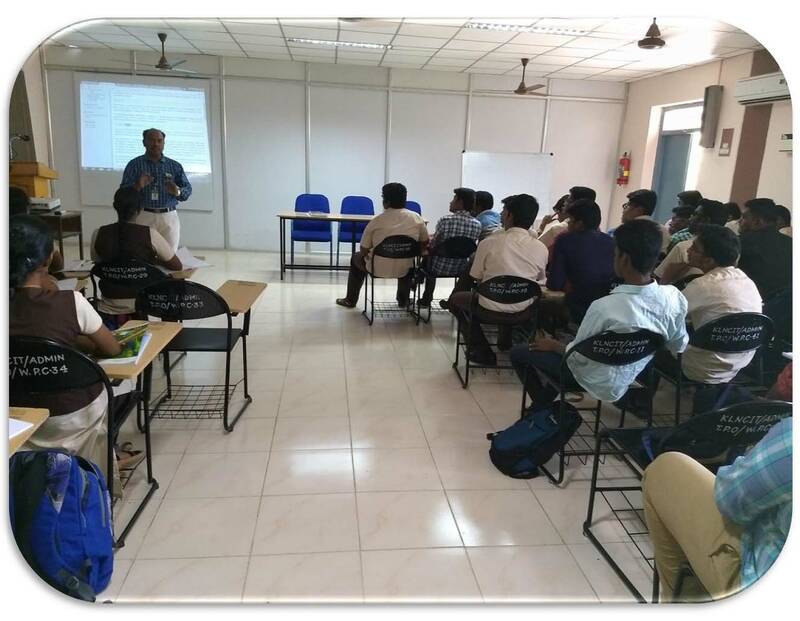 Engineeringknowledge: Apply the knowledge of mathematics, science, engineering fundamentals, and an engineering specialization to the solution of complex engineering problems. Design/developmentofsolutions: Design solutions for complex engineering problems and design system components or processes that meet the specified needs with appropriate consideration for the public health and safety, and the cultural, societal, and environmental considerations. Conductinvestigations of complex problems: Use research-based knowledge and research methods including design of experiments, analysis and interpretation of data, and synthesis of the information to provide valid conclusions. Ability to solve complex problems and design systems using algorithm analysis and principles of Software Engineering, to face the challenges in corporate and industries. 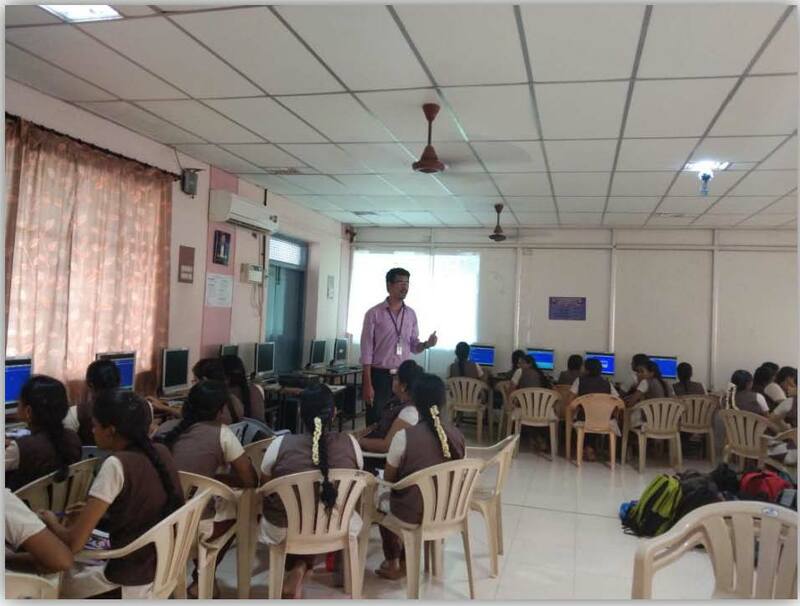 Ability to use skills, techniques, research based knowledge and methods and computer-aided software engineering tools for developing innovative projects in computing technologies and to develop lifelong learning skills. Ability to communicate and function effectively as an individual and as a member or leader in multi-disciplinary teams to understand the impact of revolution in modern computerization in global, economic and societal context. 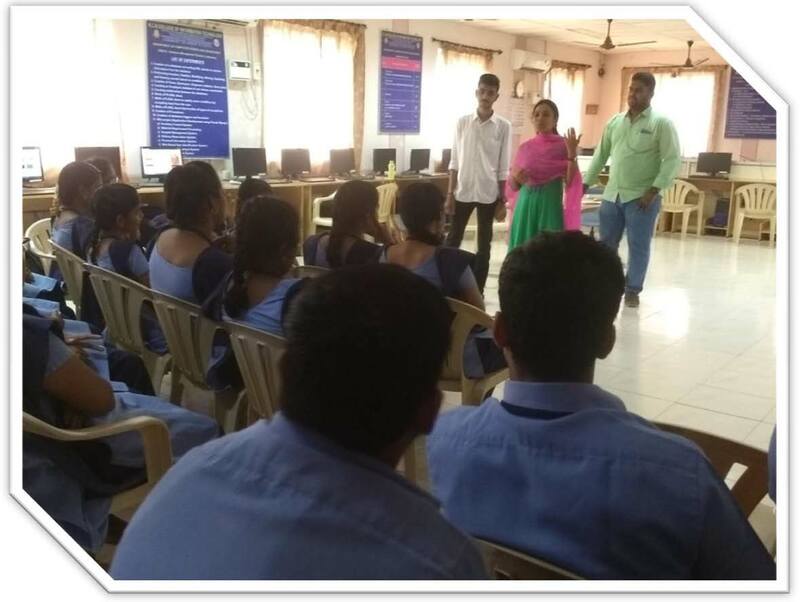 Ability to understand the need for sustainable development in software industries and to follow the professional ethics with a good understanding of their responsibilities and roles in society. 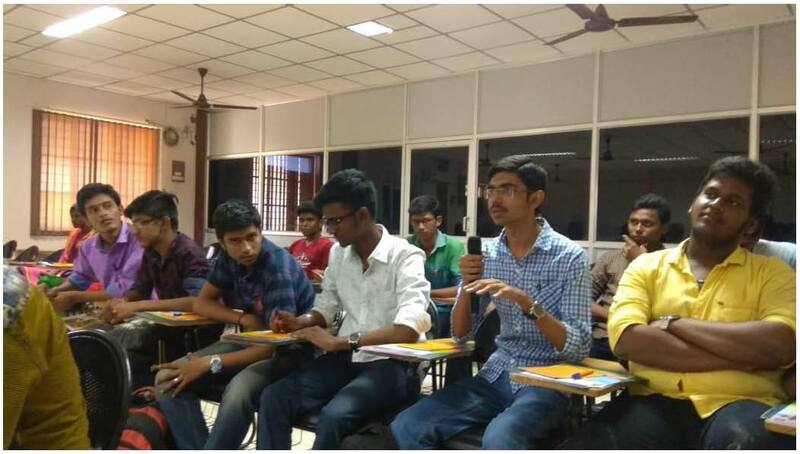 Analyze, design and develop computing Solutions by applying foundational concepts of Computer Science and Engineering. Apply software engineering principles and practices for developing quality software for scientific and business applications. 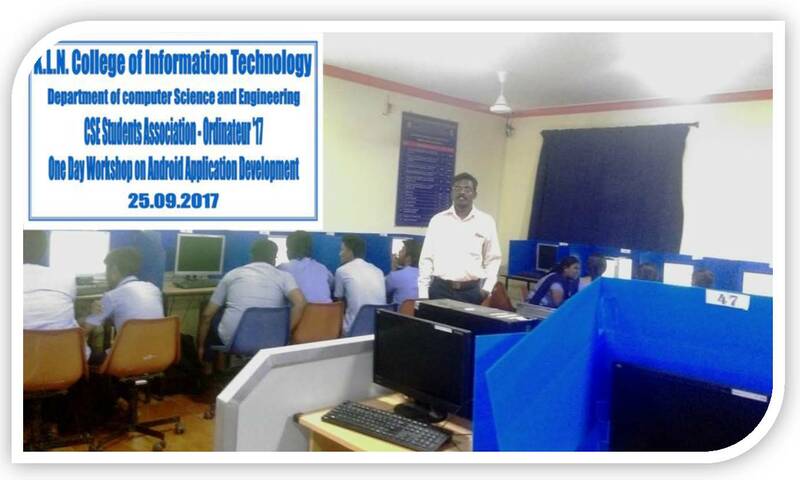 Adapt to emerging Information and Communication Technology (ICT) to innovate ideas and novel solutions to existing / novel problems. 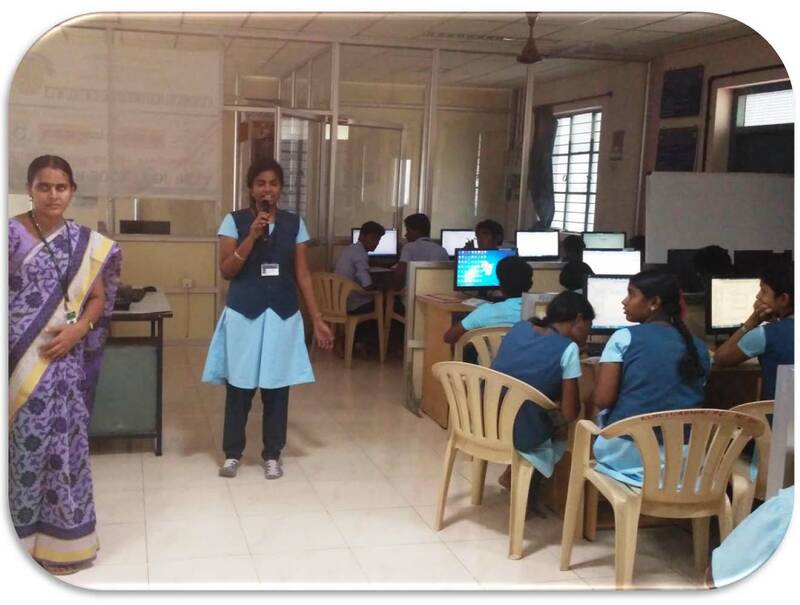 Department of Computer Science and Engineering has four spacious laboratories, each provided with modern and sophisticated equipments to meet the curriculum requirements. 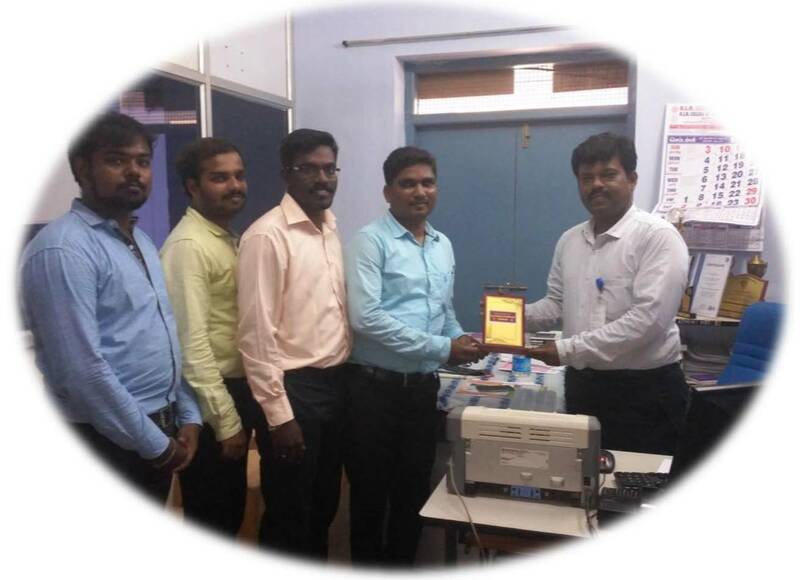 10 Mbps Micro wave leased line from BSNL is servicing all the Department Laboratories round the Clock. 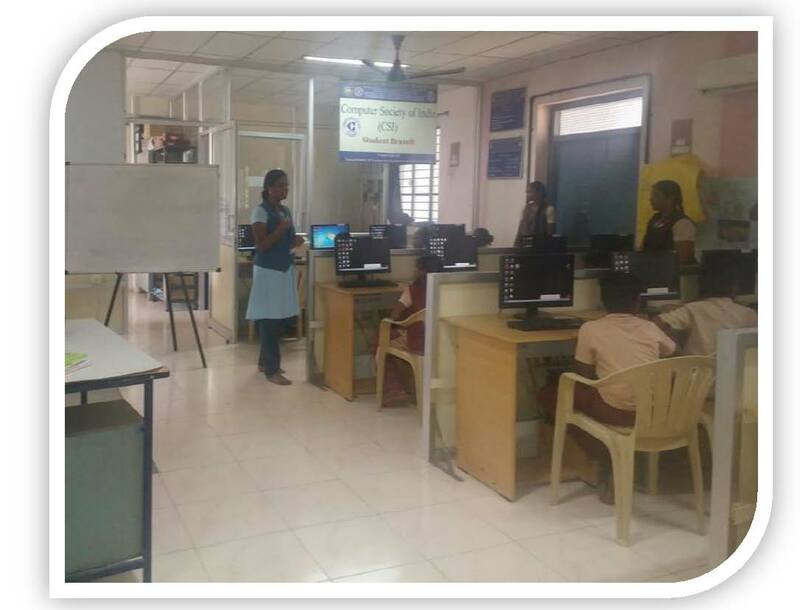 Charles Babbage Lab is well structured and spacious Laboratory (139.37 Sq.M) equipped with 50 Intel corei3 Systems. 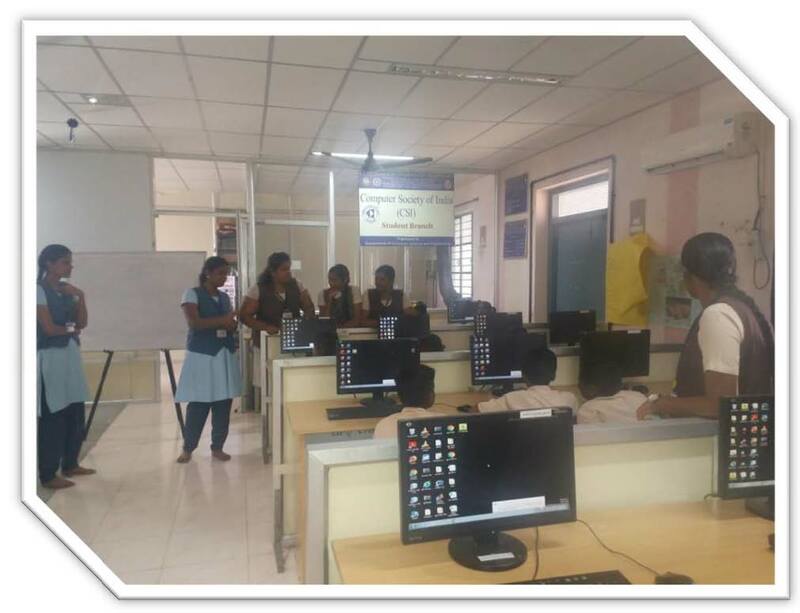 All the Systems are connected with structured cabling to have LAN facility..
Dennis Ritchie Lab is spacious (139.37 Sq.M) and equipped with 35 Intel core 2 Duo Computer Systems. 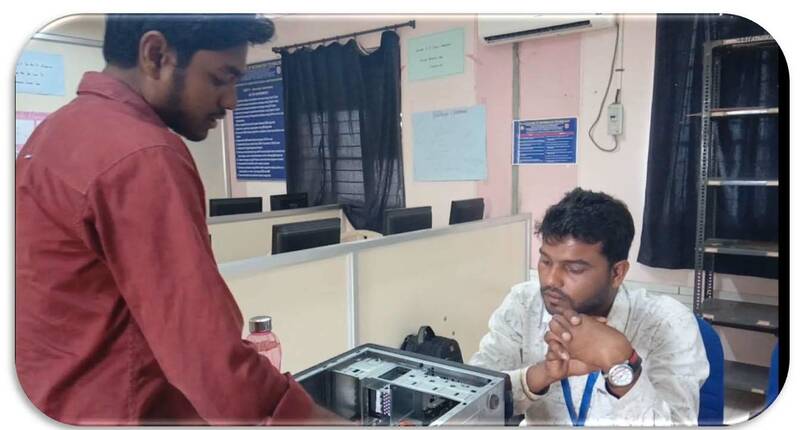 All the Systems are connected with structured cabling to have LAN facility and are supported by 2 Servers. 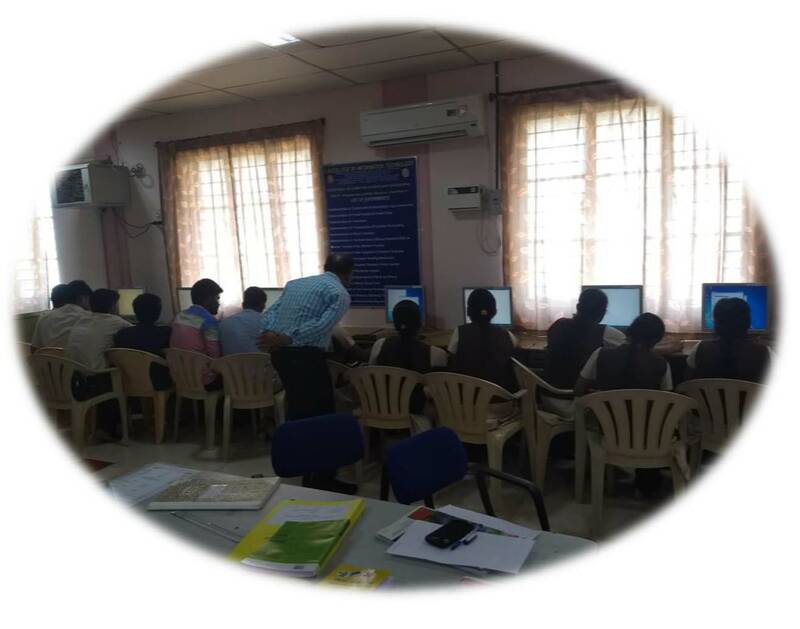 Graddy Booch Lab is well structured and equipped with 35 Intel core 2 Duo Computer Systems. All the Systems are connected with structured cabling to have LAN facility and are supported by 2 Servers. 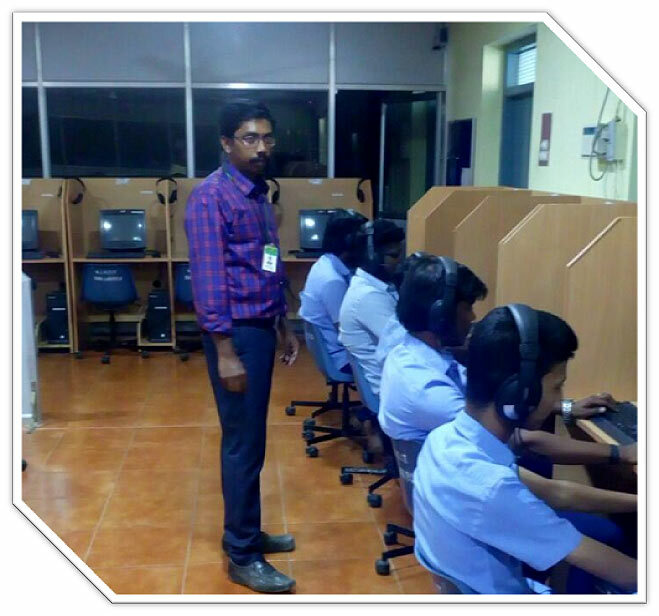 10 Mbps Micro wave leased line from BSNL is servicing the Department Laboratories round the Clock. Alan Turing Lab is well equipped with sufficient client systems and servers. 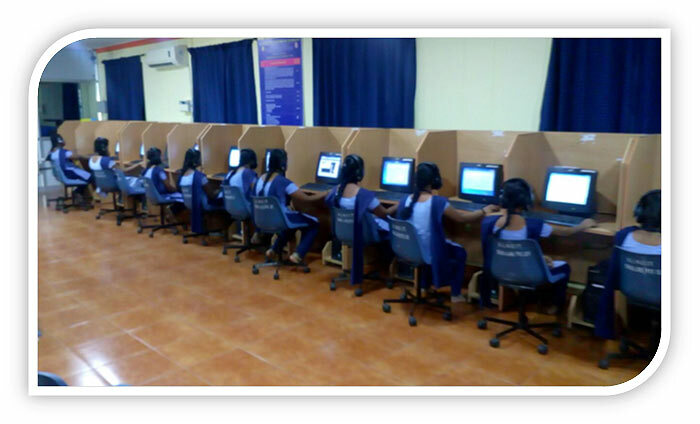 It is well equipped with sufficient Servers and a total of 40 client computers. 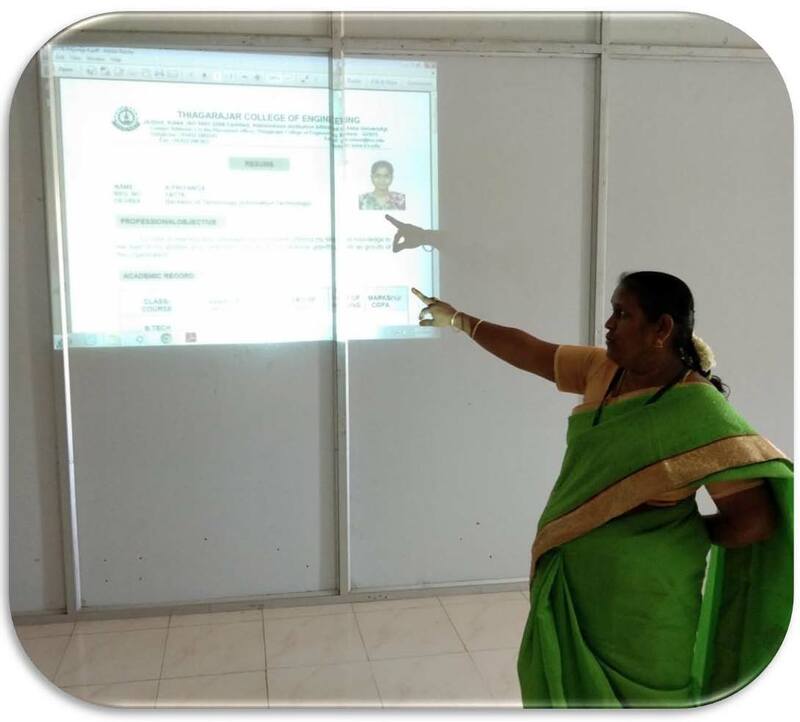 15 R.Yuvaraj SUTHERLAND GLOBAL SERVICES INC.
27 M.K.Manikandan SURESOFT SYSTEMS PRIVATE LTD.
29 K.Thamarai Meena Poornam Info Vision Pvt Ltd.
Ms. Sri Athi Samyuktha. Na. 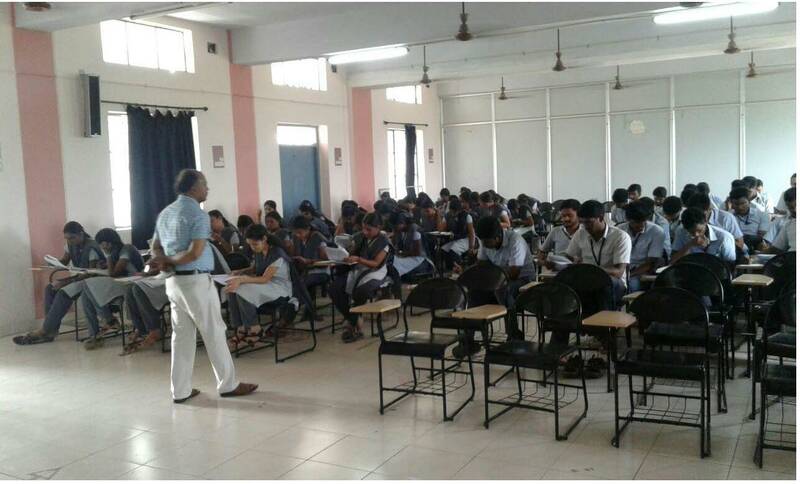 Mr. Gopinath. C. M/s. 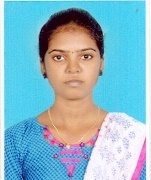 Atline Technologies ( India ) Pvt Ltd.
Ms. Haripriya. M.P. M/s. 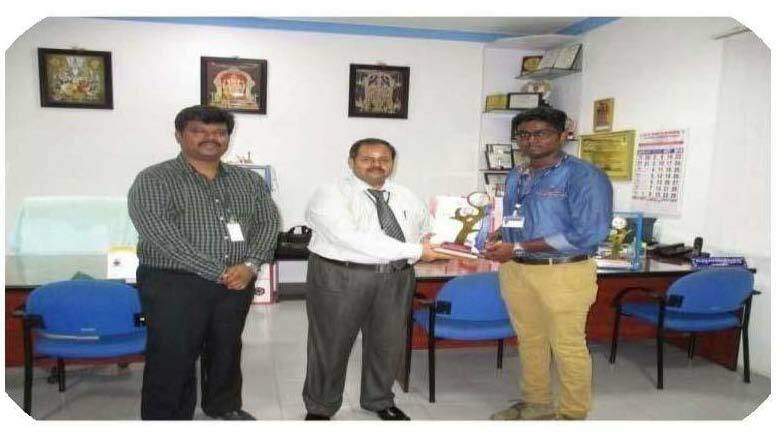 Hexaware Technologies Pvt Ltd.
Mr. Sri Senthil Kumar. A. 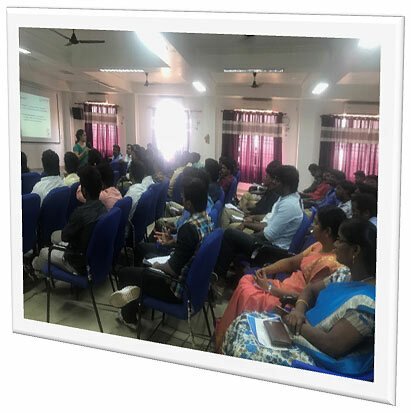 95 Alumni Interaction on Industrial Experience and Career Guidance Programme 03.01.2019 Ms.Kirthika, Software Engineer, ZOHO Technologies. 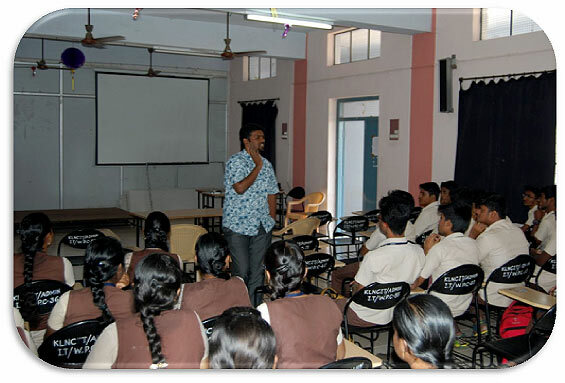 Mr.Lenin Prabaharan, Software Engineer, Apptivo Technologies. 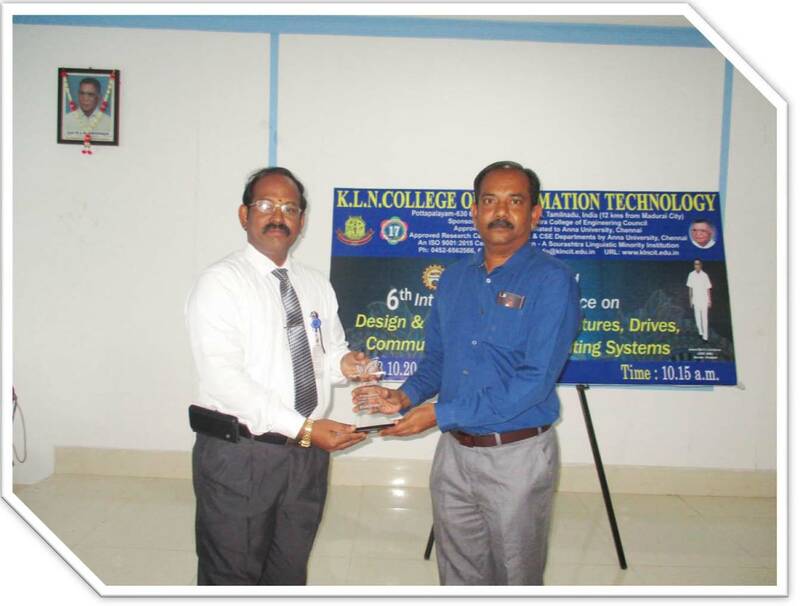 Kamaraj College of Engineering & Technology. 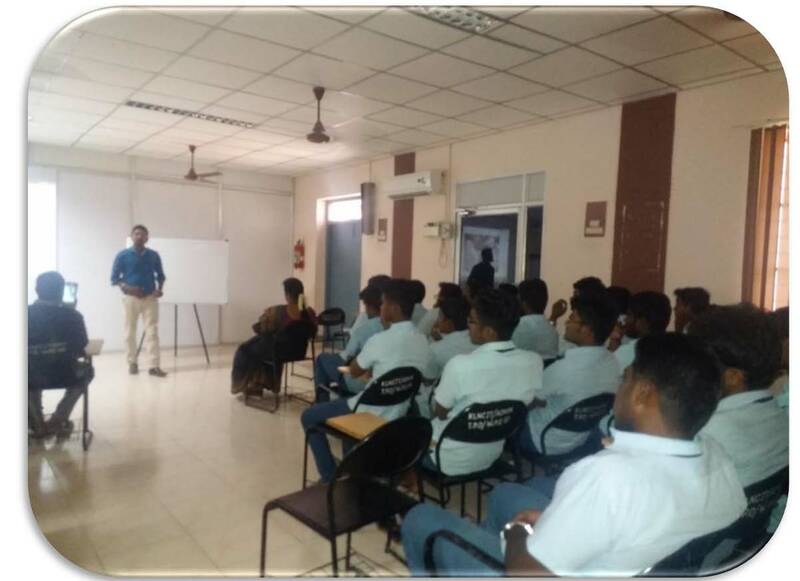 Managing Director, Amogaa Products Pvt. 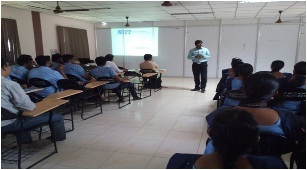 Ltd.
EDC Organized guest Lecture on "Network Security and Ethial Hacking"
Two Day Workshop "Data Analytical Tools for Real Time Applications"
ICTACT Sponsored Two Days Workshop "Internet of Things"
CSI Sponsored two days Workshop on "Web Technologies"
Guest Lecture on "Digital Transformation"
1) Dr. Sethumadhavan M (Professor of Mathematics and Computer Science) Head, Centre for Cyber Security, AVV, Coimbatore. 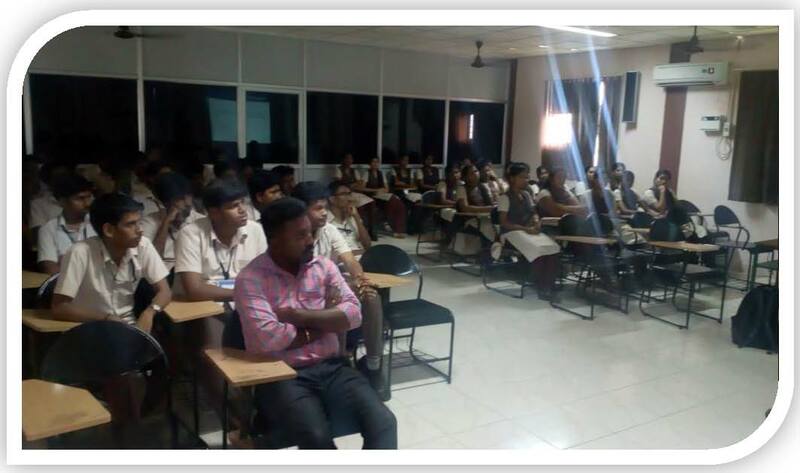 2) Mr.Kandasamy Muniasamy (CISSP) - Director,I-Human Private Limited, Chennai. 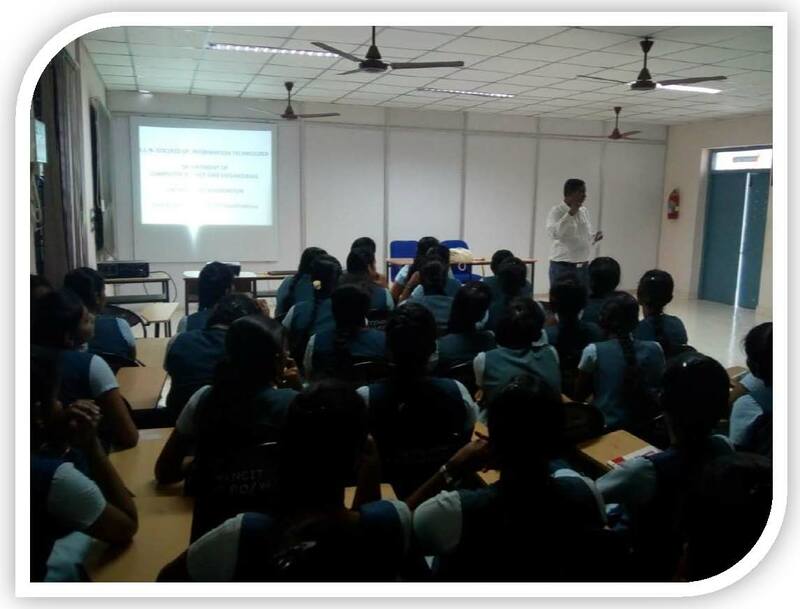 3) Vinod Kumar Jain (CISSP, CISM) - Principal Security Consultant, Chennai. 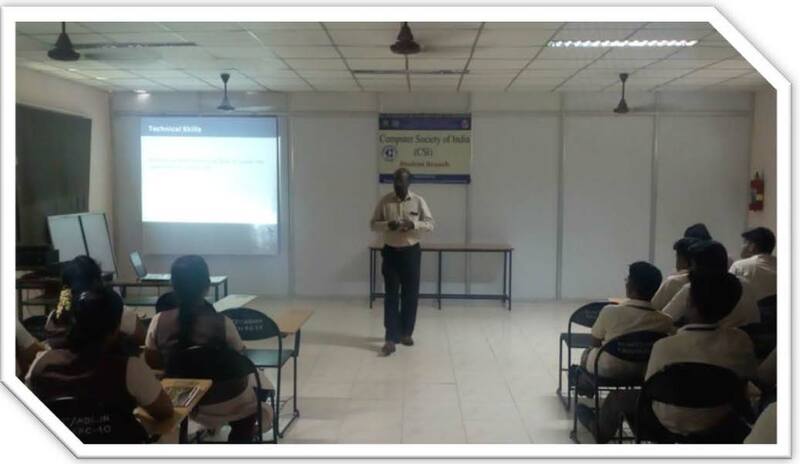 4) Ashok Kumar Mohan, Research Associate, TIFAC CORE in Cyber Security, AVV, Coimbatore. 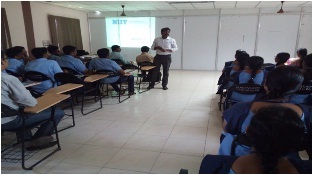 Mr.N.Muneeswaran,Head of Quality,Process and Placements,NIIT,Madurai. 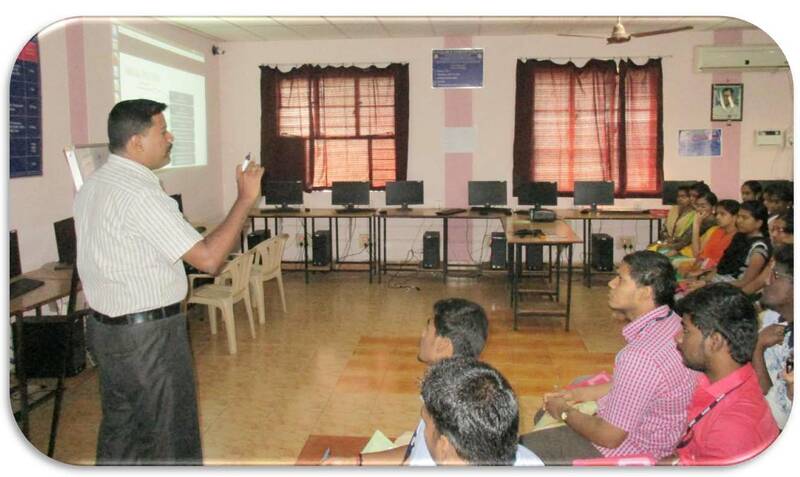 Academic Initiative,ICT Academy of Tamilnadu. 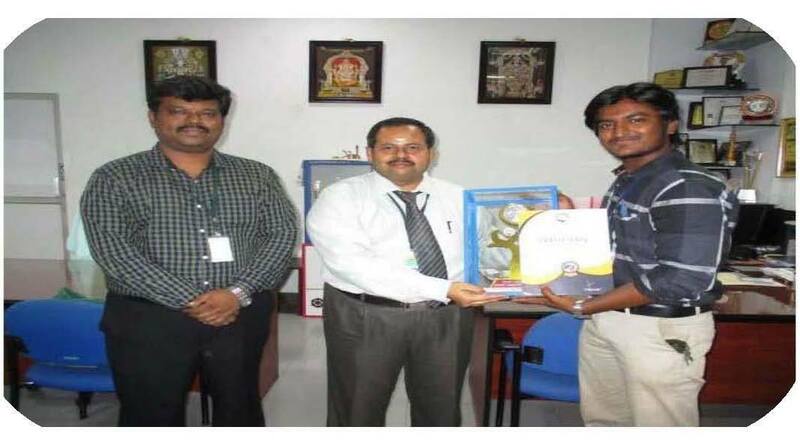 Dr.Daniel Jacob(Deputy General Manager),Datasoft Pvt.Ltd,Chennai. 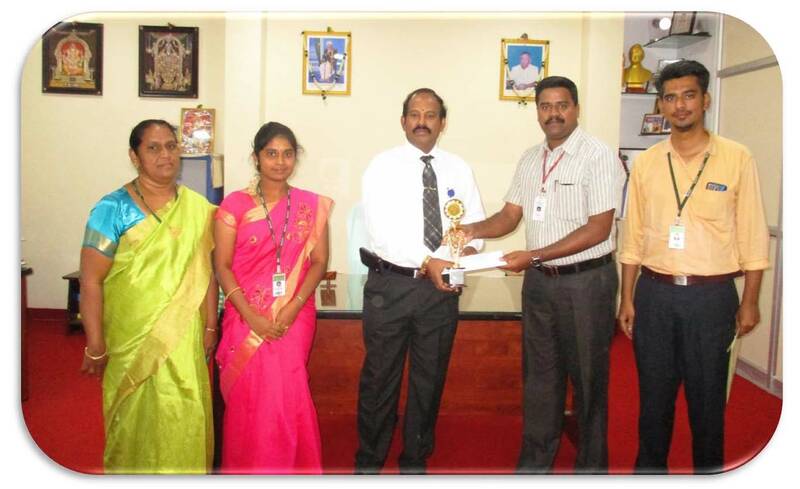 Mr.R.Karthikeyan (Manager HR),Lenovo(India)Pvt.Ltd,Puducherry. Miss. 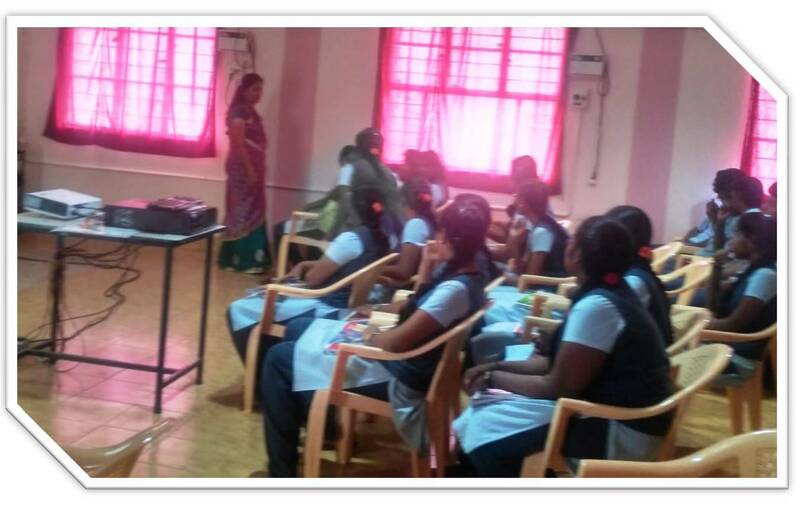 Meenakshi Karthik, S/W Development Engineer, ABB,Swedan. 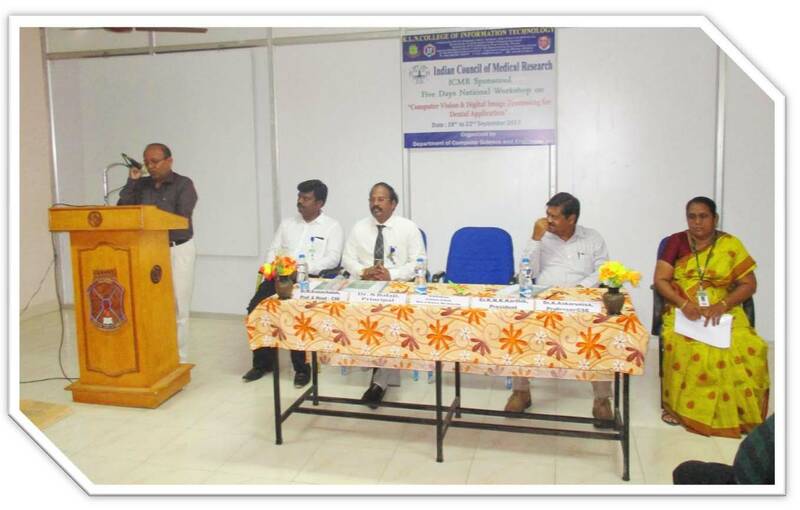 Dr.K.Sivakumar,Regional Director,Anna University Regional Centre,Madurai. 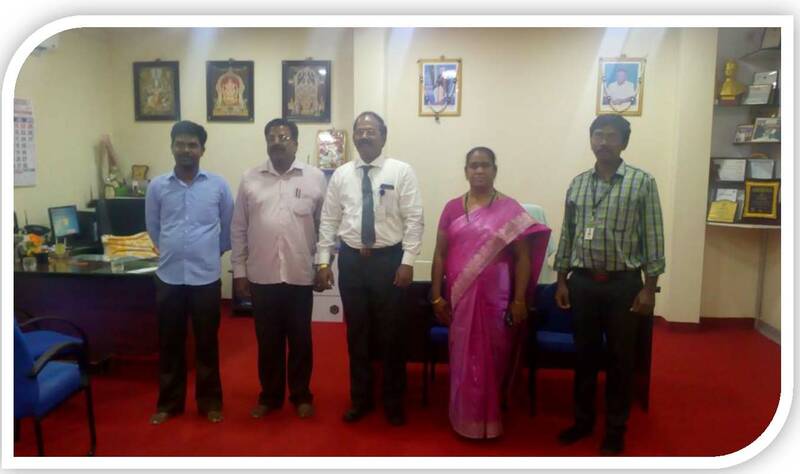 5 09-02-2016 Job Opportunities in IT Industry Mr.David Leonard,Software Developer,Solartis Technology Services,Chennai. 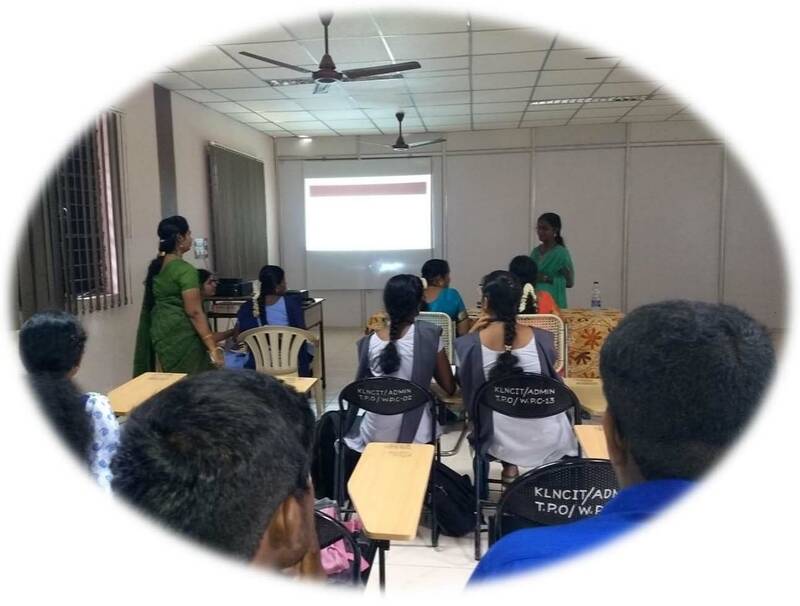 10 03.01.2019 Industrial Experience and Career Guidance Programme Ms.Kirthika, Software Engineer, ZOHO Technologies. 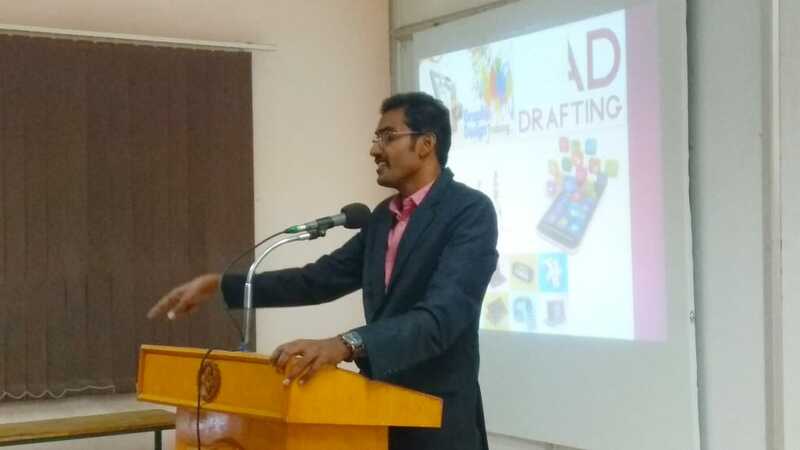 Mr.Lenin Prabaharan, Software Engineer, Apptivo Technologies. The department library is well structured and spacious. 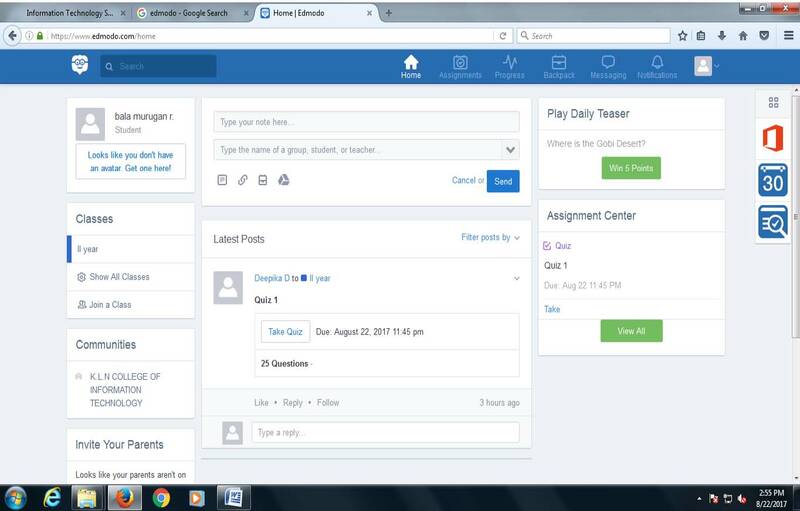 It is equipped with sufficient number of text books, reference books, Journals, Magazines, Newsletters, Conference Proceedings and project reports. 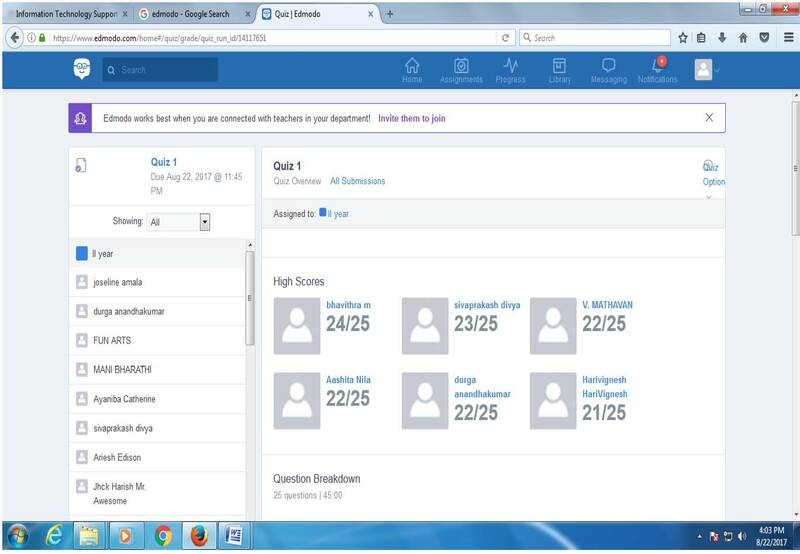 The log is maintained to regularly record issuing and returning of books. Multi objective evolutionary algorithm for mining positive and negative Association rules in fuzzy attributes using genetic algorithms. Improving the efficiency of multiple-keyword rummage over cloud environment. Up-tree structure for potentially high utilityÂ Â item sets. Up-tree structure for potentially high utility itemsets. 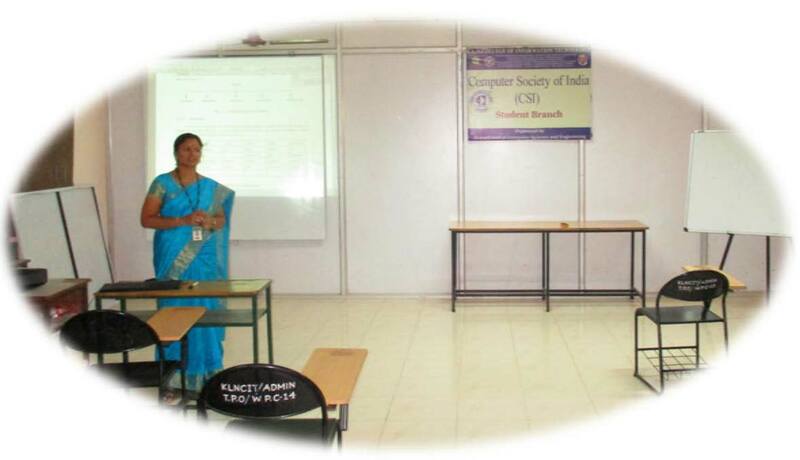 A Survey on Information Retrieval in Soil Database, K.L.N. College of Information Technology. A Neighbor Based Dynamic Estimate Rebroadcasting Approach For Efficient Routing In Mobile Adhoc Networks , K.L.N. College of Information Technology. K.L.N. College of Information Technology. Cluster Based Certificate Revocation to peculate false accusations in mobile ad hoc network, K.L.N. 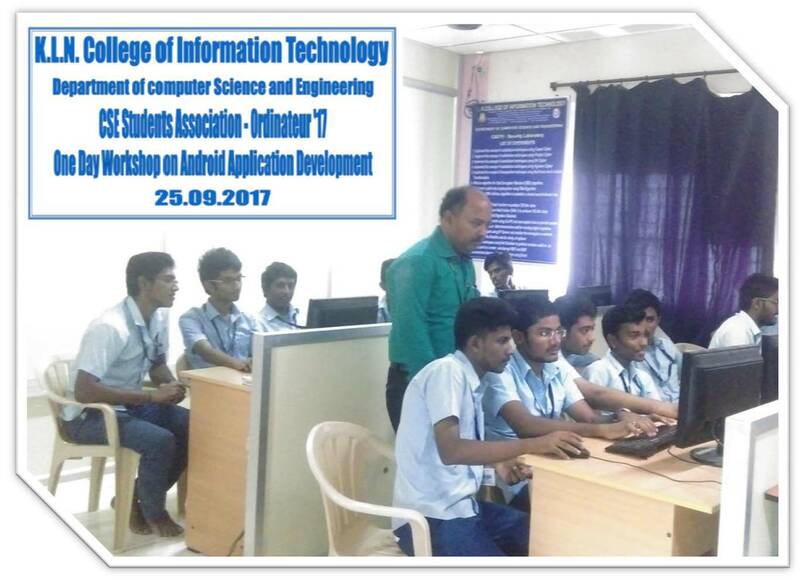 College of Information Technology. Volume 5 ,Issue III, ISSN: 2321-9653. Particle Swarm Optimization based Despeckling and Decluttering of Wavelet Packet Transformed SAR Images Journal of Applied Remote Sensing December 2013 Vol.7,no.1,pp. 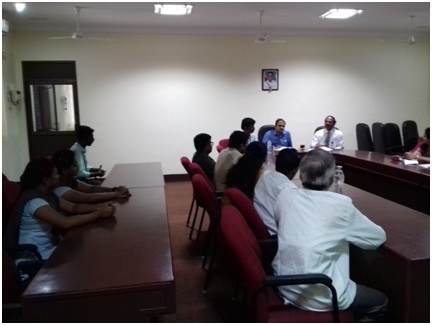 1 10-01-2017 Open house Exhibition Students from all Branches Mr.N.Sivasubramanian, Chief General Manager (Retd.,), ISRO Trivandrum . 2 III Year CSE 2014 - 2018 1. 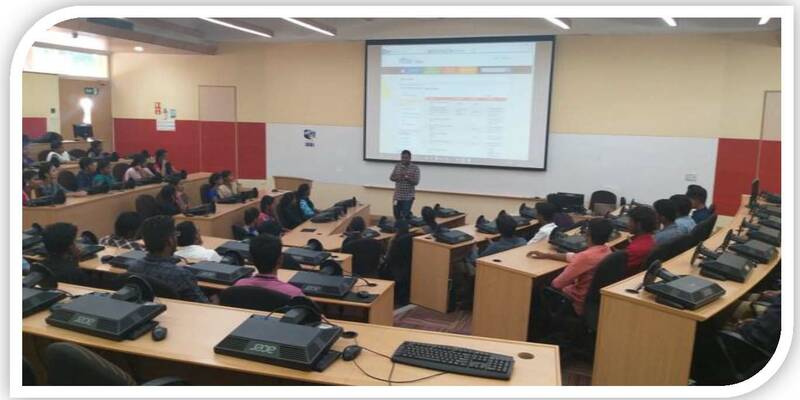 Amazon Development Centre, Chennai. 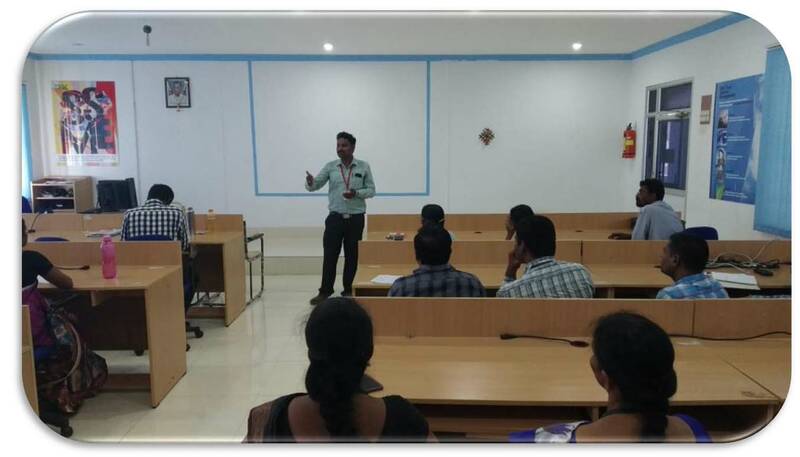 9 III Year CSE 2011 - 2015 1.Chips Software Systems Private Limited, Cochin. 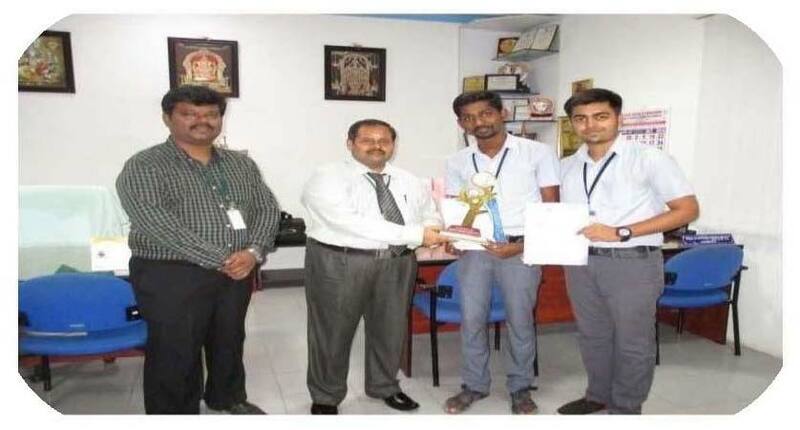 Certificate of Appreciation is awarded in recognition of MENTOR for"Introduction to Programming in C"
Certificate of Appreciation is awarded in recognition of MENTOR for "Programming in C++"
Certificate of Appreciation is awarded in recognition of MENTOR for "Programming, DataStructures and Algoriothms using python"
Mr.G.Dinesh, Asst.Prof. 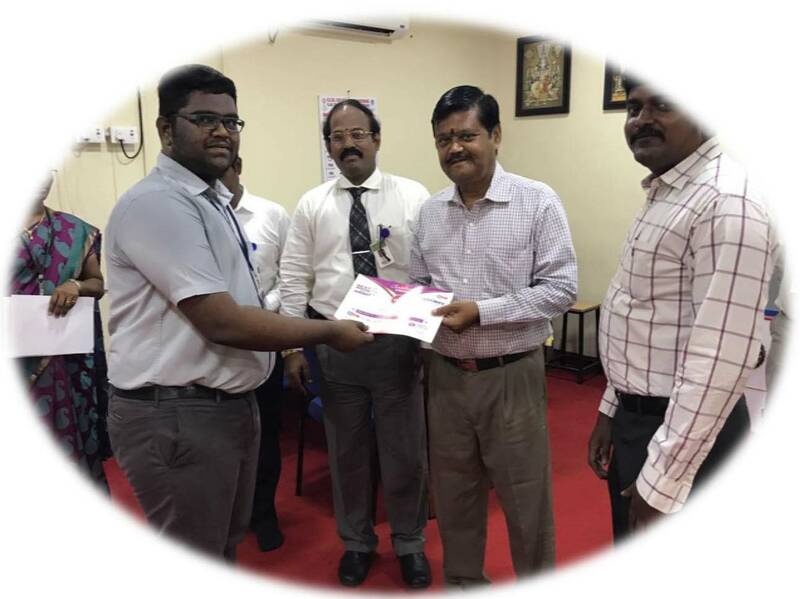 : Certificate of Appreciation is awarded in recognition of MENTOR for "Introduction to Modern Application Development"
Certificate of Appreciation is awarded in recognition of MENTOR for "Introduction to Modern Application Development"
2 27.07.2018 & 28.07.2018 CSI Sponsored Two Day Workshop on "Programming in C++"
2 22-09-2016 Two day Workshop on "Object Oriented Programming Languages" by Dr.S.Valli, Prof/CSE, CEG Campus, Chennai. 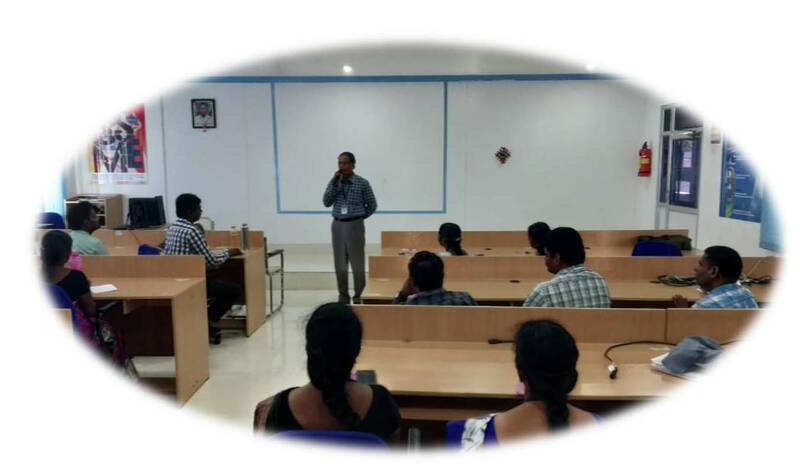 8 22-06-2016 to 27-02-2016 Work shop on "Android Development"
6 12-01-2016 Guest Lecture on "Competitive and GATE Examination"
3 15-09-2015 Guest Lecture on "Digital Transformation"
2 28-08-2014 Intra College Symposium "Techyzyne' 14"
7 08-01-2014 Technical Lecture on "WEB APPLICATIONS USING JAVA 1.4"
6 08-01-2014 Guest Lecture on "CCNA SWITCHES AND IP CONFIGURATION"
5 10-09-2013 Intra college symposium "Techyzyne'13"
4 06-08-2013 Workshop on "Hands on training in VLSI System Design"
3 24-07-2013 Technical Seminar on "Networking"
2 16-07-2013 Orientation Program on "Data Structures"
1 15-07-2013 Technical Lecture on "Representation of Signals"
05-10-2017 to 11-10-2017 AICTE Seven days international seminar on "Big data Analytics with state of Art Experimentation on E - Governance, Health care and Educational System"
S.No Name of the Staff Tittle of the Proposal Submitted Name of the Funding Agencies Applied Date Sanctioned Amount Sanctioned Rs. 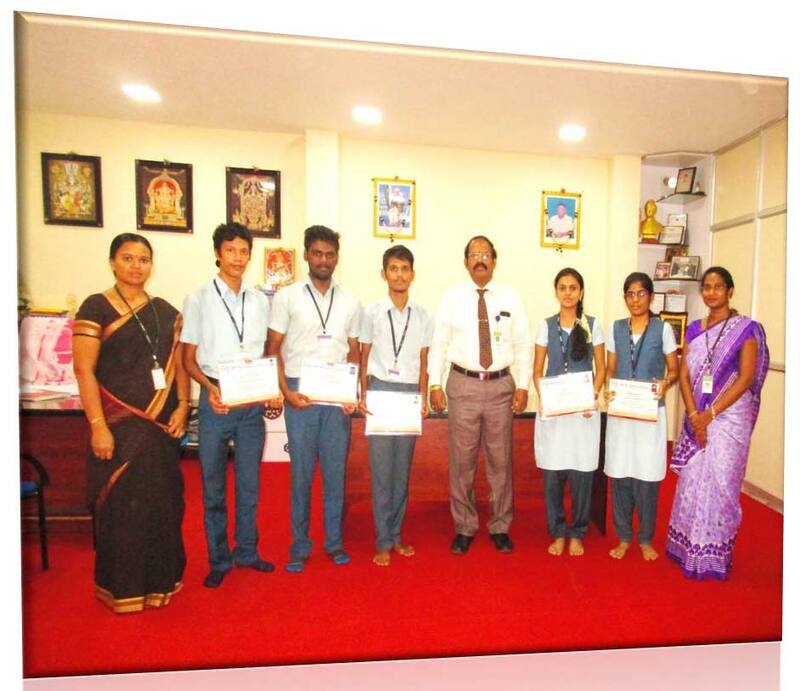 R & D Innovative Projects Achievements Our department future young scientists have received Dr.Kalam Social Activist Award 2016 under the NATIONAL YOUTH AND STUDENTS DAY State-level contestorganized by World Youth Federation. 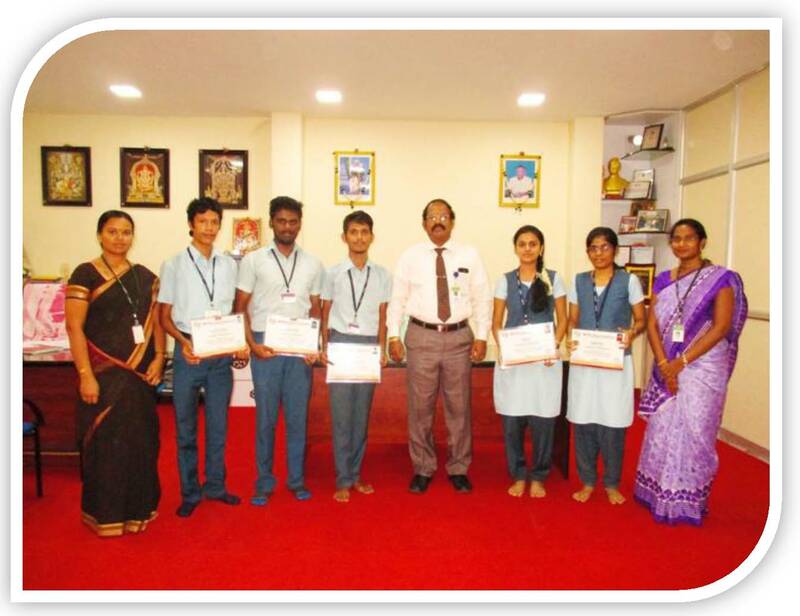 The award winners are M.D.Kishore Babu and D.Vivekanandhan of Final year/CSE, and N.Yuvaraj and Natammai Deepak Sundarajan of III year/CSE. 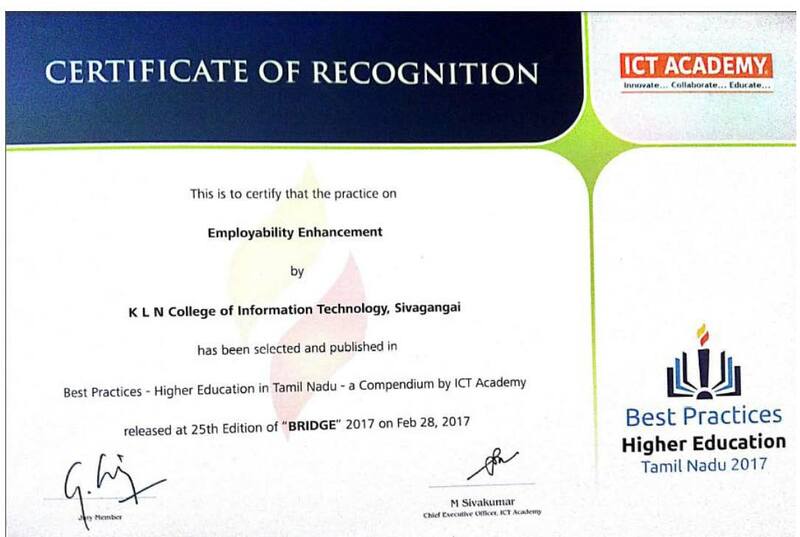 An article on "Employability Enhancement" from the Department of CSE, KLNCIT, Sivagangai was selected and published on 28.02.17 in the 25th edition of "BRIDGE" - a Compendium by ICT Academy. 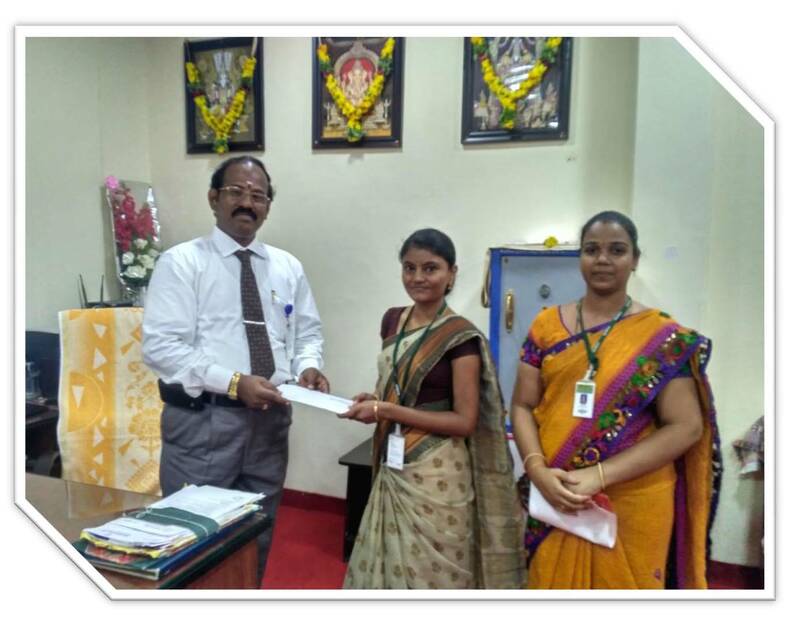 S.No Name of the Staff Tittle of the Proposal Submitted Name of the Funding Agencies Applied Applied Date Amount Sanctioned Rs. 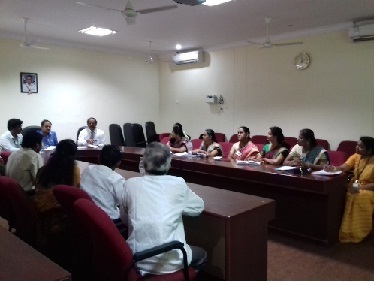 Department Advisory Committee meeting held in the Department of Computer Science and Engineering at 11.30 a.m. on 22/07/2017 and Interaction with Academic Expert, Industry Expert, Parents & Alumni Members. 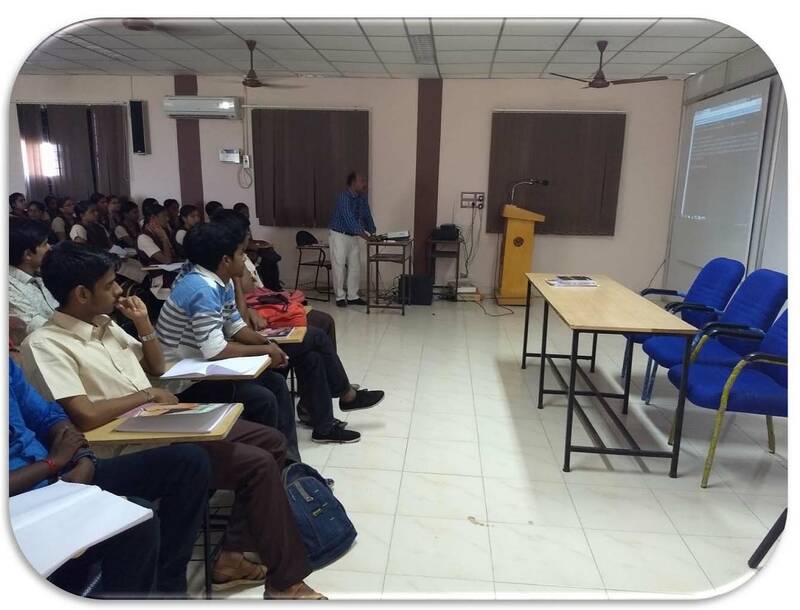 CSE Students Association - Guest Lecture on "Digital Transformation in IT & Placement Opportunities"
Innovative teaching methodology - NPTEL Online Video playback session conducted for the subject CS6402-Design and Analysis of Algorithms by the subject handling faculty. 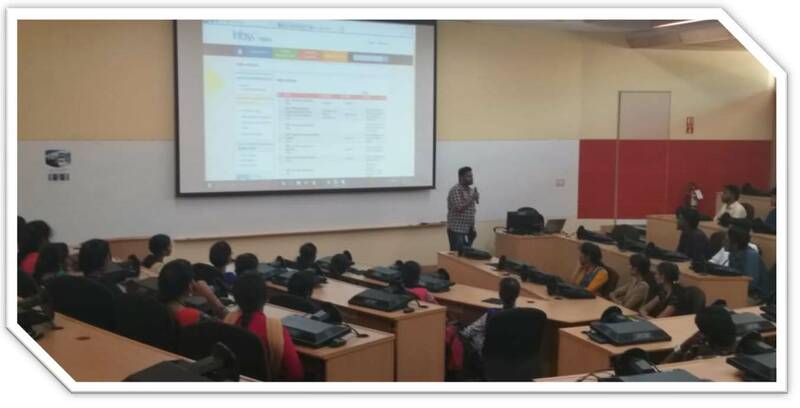 Infosys Campus Connect Foundation program 5.0 from July 2017 to October 2017. 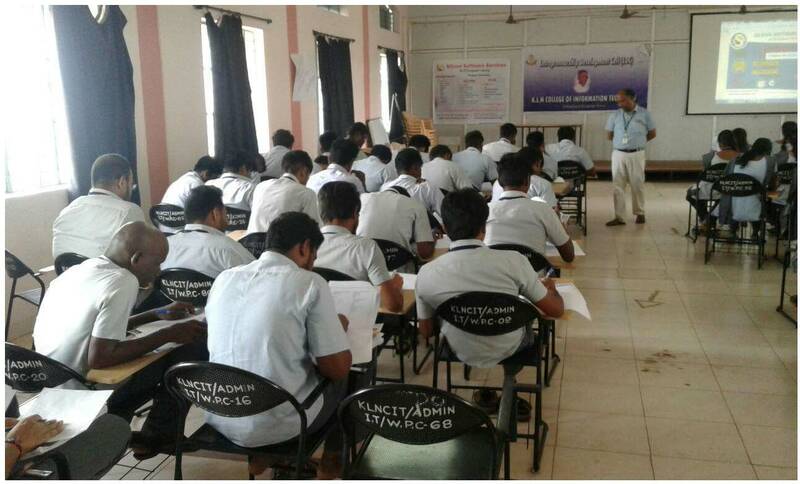 15 Students from III year participated in the Program. 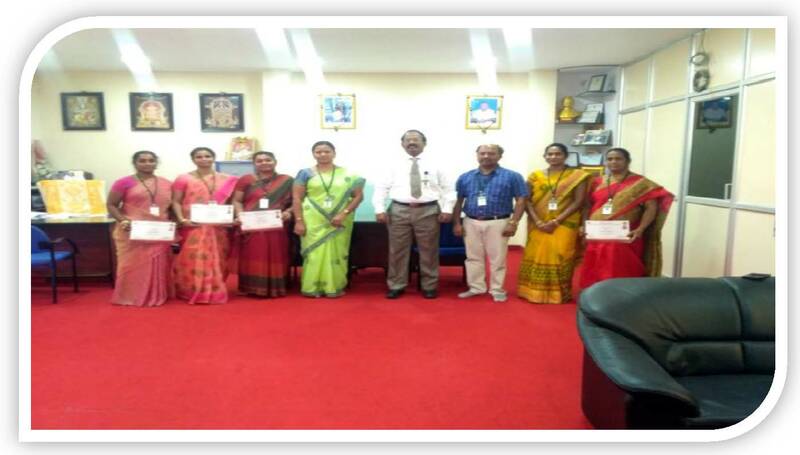 The following Faculty Members handled the Infosys classes. 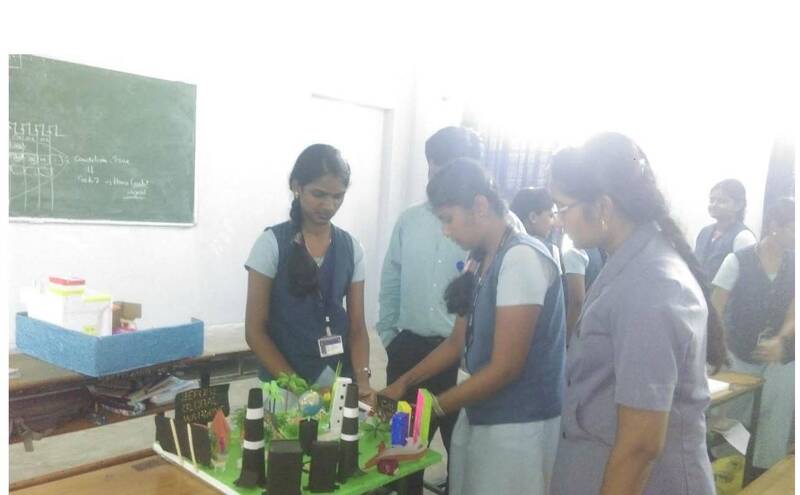 Faculty innovation in Teaching Learning Process Demo Project Demo Projects on Environmental Science and Engineering by II Year CSE students.